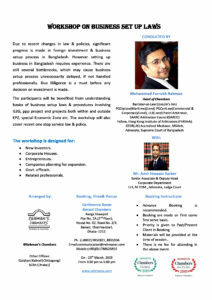 Rahman’s Chambers is pleased to invite you to our upcoming event “Workshop on Business Set Up Laws” On 23th March (Saturday) 2019, From 3:30 PM to 5:00 PM, Conference Room, Banani Chambers (Main) Rangs Shawpnil, Flat No. 2A, 2nd Floor, House No- 02, Road No-2/3, Banani, Chairmanbari, Dhaka-1212, Bangladesh. 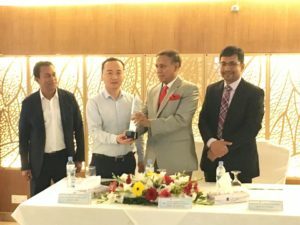 Mr. Liu Yang (Steven) to receive the crest from Rahman’s Chambers handed over by Mr. A. F. M. Abdur Rahman on behalf of TBEA CO., LTD (TBEA) from our Investment department and Making a significant investment in Bangladesh. Mr. G M Feroj Ahmed to receive the crest from Rahman’s Chambers handed over by Mr. A. F. M. Abdur Rahman on behalf of Grameen Danone Foods Limited From our Corporate Department and Being the very first Social Business &amp; Entrepreneurship. 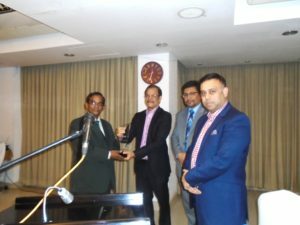 Mr. Mohammed Jabed Emran to receive the crest from Rahman’s Chambers handed over by Mr. A. F. M. Abdur Rahman on behalf of Infrastructure Development Company Limited (IDCOL) From our department of Dispute Resolution and Contribution to Alternative Dispute Resolution in Bangladesh. 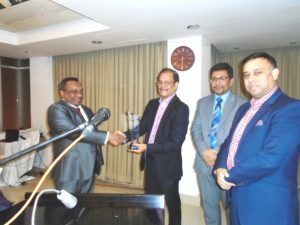 Mr. A. M. Mustakimur Rahman to receive the crest from Rahman’s Chambers handed over by Mr. A. F. M. Abdur Rahman on behalf of UK P&I CLUB from our department of Shipping and Excellent Collision Risk coverage in Chittagong port. The following participant amongst others attended in the Annual Dinner Mr. C Sundar Pandian, CFO, Saturn Textiles Limited; Mr. Zia U Ahmed, Chairman, Venture Investment Partners Bangladesh Ltd. (VIPB); Mr. Abdur Rahman , Project Director, Unitex LP Gas Ltd; Prof. (Dr.) Md. 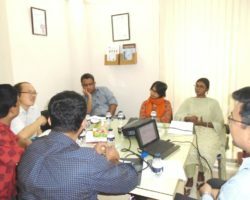 Shah Alam, Director, Impulse Hospital; Dr. Kazi Yasmin Sattar; Mr. Padmanava Gupta, Managing Director, Philips Lighting Bangladesh Ltd; Mr. Mohammad Rajib Uddin, Supply Chain Manager, Philips Lighting Bangladesh Ltd; Mr. Yang Wenchuang, Representative in Bangladesh, Dong Fang Electric International Corporation; Mr. Pingkal Saha , Assistant General Manager ,Financial Control &amp; HRA, Orient Overseas Container Line (OOCL); Mr. Monzurul Islam, Vice President , United Commercial Bank Limited; Mr. Tofazzal Hossain; Colonel (Prof.) Md. 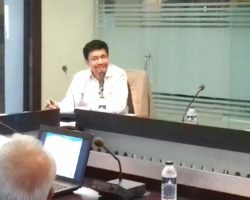 Nurul Azim(Retd. 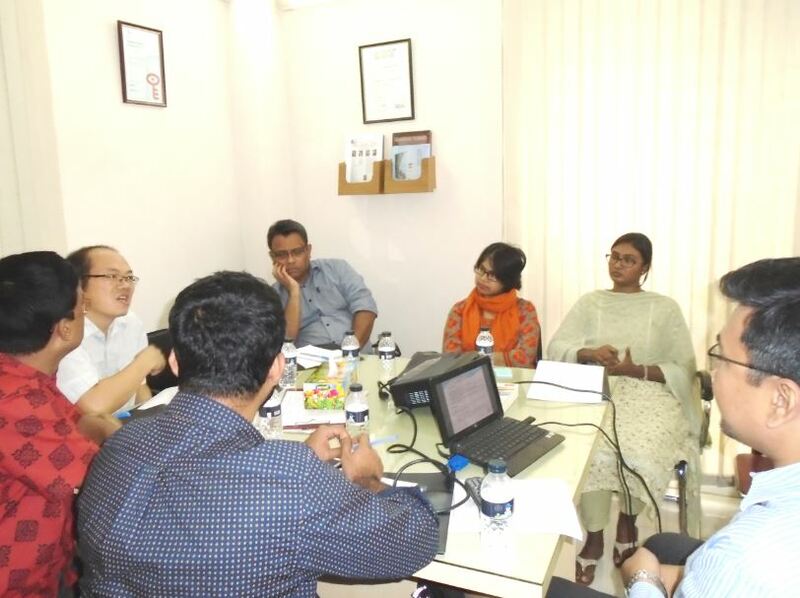 ), Behavioural Scientist & Consultant Psychiatrist, Banani Clinic Limited; Mr. Mohd. Shoyeb Ali, Senior Vice President and Head of Investment Dept., First Security Islami Bank Ltd; Mr. M A Akmall Hossain Azad, Director, Bangladesh International Arbitration Centre (BIAC); Mr. Yang Yanjie, Deputy Project Manager, TBEA CO., LTD; Mr. Hu Jingyu, Deputy General Manager, CCCC First Harbor Engineering Co., Ltd.; Mr. Renbin Lyu , Marketing Director, CCCC First Harbor Engineering Co., Ltd.; Mr. Jahir Uddin Ahmed , Managing Director, Nilufa Automatic Rice Mill; Mr. Md. 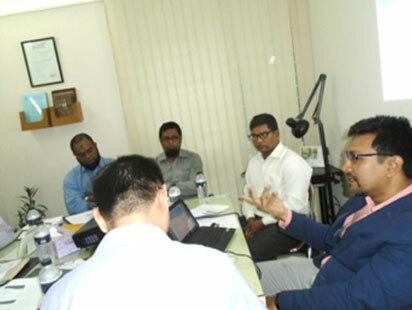 Mahmud Hassan Khan, Senior Manager- (HR), Li & Fung (Bangladesh) Ltd.; Mr. Tong Lei Commercial Manager of Bangladesh, China Energy Engineering Group (NEPC); Mr. Mahbubur Rahman, Chairman, Bangladesh International Arbitration Centre (BIAC); Mr. Muhammad A. (Rumee) Ali, Chief Executive Officer, Bangladesh International Arbitration Centre (BIAC); Mr. A. 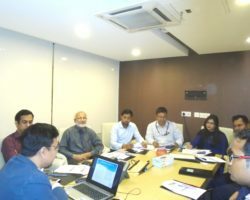 A. M Zakaria, Director, Bangladesh Commerce Bank Ltd.; Mr. Alpaj Uddin, Manager Accounts, Finance &amp; External Affairs, Gweebarra Industry Ltd.; Mr. Md. 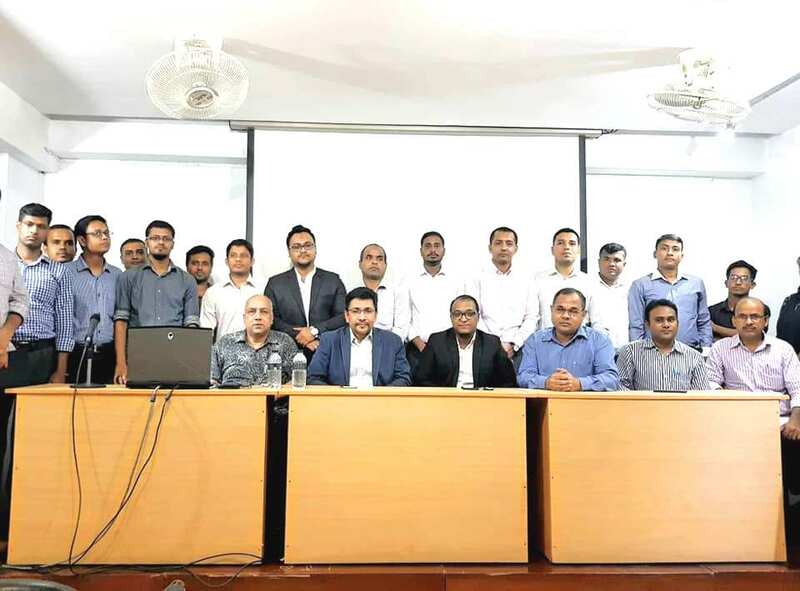 Monirul Islam, Finance Controller, Gweebarra Industry Ltd.; Mr. Fahim; Mr. Abdul Halim, Barrister- at –Law, Advocate , Supreme Court of Bangladesh; Mr. Sajed Sami Ahammad, Barrister-at-Law, Advocate, Supreme Court of Bangladesh; Mr. Sameer Sattar, Head of Firm, Sattar & Co; Mr. Fakir K. Nahid, Managing Director , Fakir Fashion Ltd.; Mr. Muhammad Azizur Rahman; Mr. Stepen Cristen. 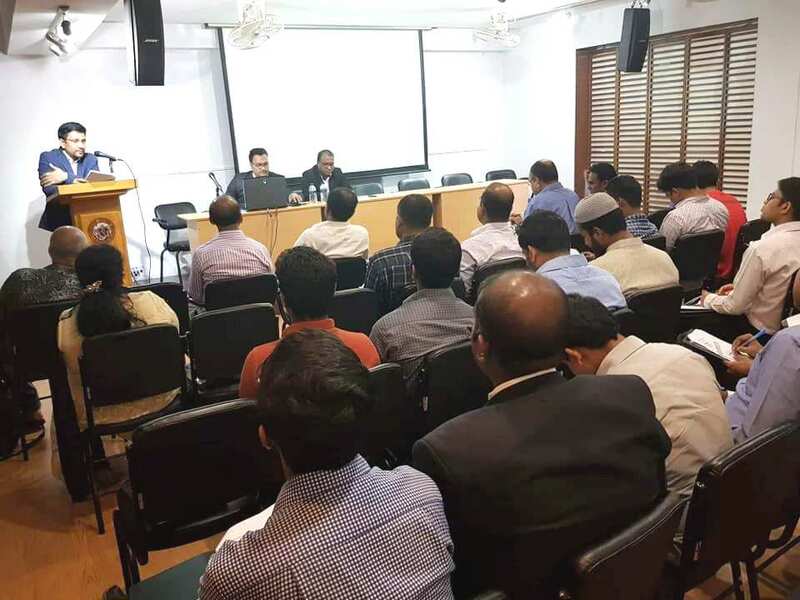 The Chambers held a Workshop on Commercial Litigation on 23rd October 2018 At Conference Room, Gulshan Branch, Crystal Palace, House- SE (D) 22, Level-3, Road- 140, Gulshan South Avenue, Gulshan-1, Dhaka-1212, and Bangladesh. The following participants: Brig. Gen (Rtd.) 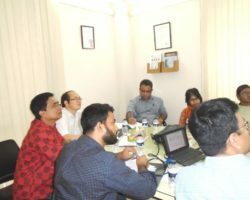 Nur Mohammad, Head of Admin & Legal, Data edge Limited; Mr. Kamrul Hasan; Senior Manager (Accounts and Finance), Asia Composite Mills Ltd.; Ms. Muktha Chandro Das, Manager (Procurement & Inventory), Asia Composite Mills Ltd.; Mr. Ahmed Sharif, Assistant Manager (Sales), Alhaj Jute Mills Ltd.; Mr. Duti Gomez, Second Secretary, High Commission of Sri Lanka; Mr. SM Mahfuzul Huq, Executive Director, HRC Shipping Ltd.; Mr. Md. Robeul Hossen, Manager, BD. Lift Limited; Engr. Ariful Hoque Hasan, Senior Manager, BD. Lift Limited; Major Abdul Hye Howlader (Retd), Director Coordination, Elite Security Services Ltd.; Major Ahmed (Retd), Director, Elite Security Services Ltd.; Mr. Sheikh Farid, Director, Elite Security Services Ltd.; Mr. Md. Iqbal Bahar Khan, Manager, Kai Bangladesh Aluminium Limited. 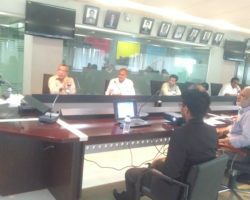 The Chambers held a Workshop on Tax, Vat & Customs Disputes on 16th September 2018 At Professor Akther Imam Auditorium, Professor Akther Imam’s Priyoprangan (1st Floor), 3 Segun Bagicha (Opposite to DUDOK Office) Dhaka-1000, Bangladesh. 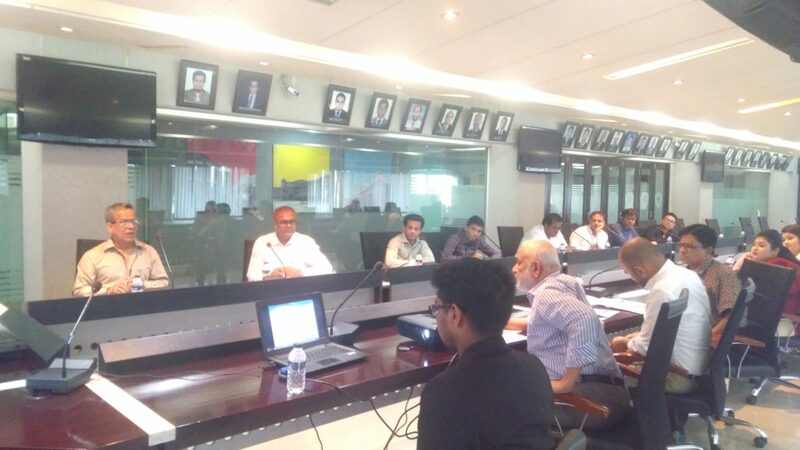 with the following participants: Mr. Ibrahim Khalil Al Zayad, Director, National Construction Co. Limited; Mr. Kazi Anower Hossain, Chief Accounts Officer, National Construction Co. Limited; Md. Saiful Islam, Accounts Officer, National Construction Co. Limited; Mr. Kazi Md. Sirajul Salekin , ITP 2017; Mr. Palash Kumar Biswas, Apprentice Lawyer; Mr. Kaosar Hossen, Legal Professional; Mr. Pipas Roy, BE in Textile Engineer, MSS in JS, LLB; Mr. Md. Abu Rayhan, Assistant Manager (HR & Accounts), The Thyroid Center Limited; Mr. A. K. Md. Raquib Uddin Khan, Advocate; Mr. Md. Shuaib Arefin Shakil, Service Engineer, Kosel Industries SDN. BHD. ; Mr. Uttom Kumar Mondol, Assistant Engineer, Walton Hi-Tech Industries Limited; Mr. Md. Joynal Abedin, Electrical & PLC In charge, Dhaka Thai Limited; Mr. Joy Dutta, Dhaka Judge Court; Mr. Md. 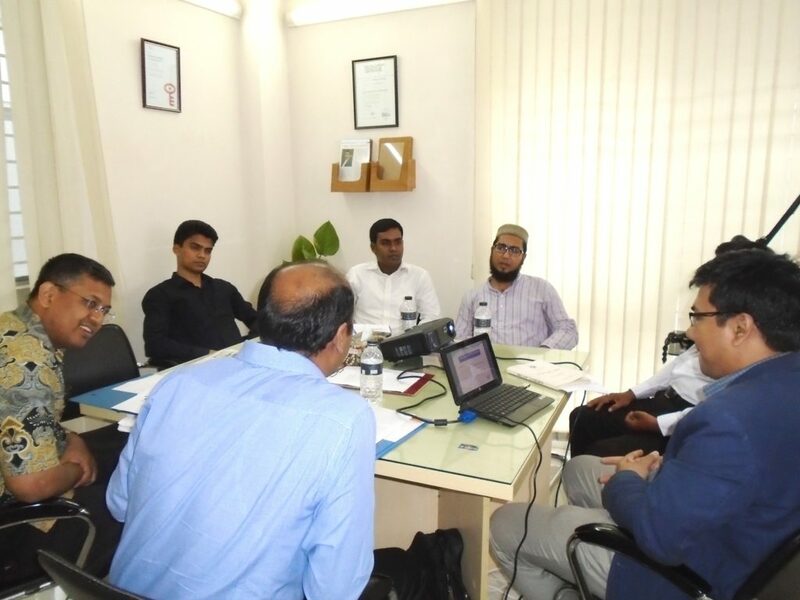 Razu Ahmed, Lawyer, Dhaka Tax Bar Association; Mr. Bidhan Kumar Das, Lawyer, Dhaka Tax Bar Association; Mr. Sheikh Noman Parvez, LLB, BRAC University; Mr. Sultan M. Akash , Founder CEO , Law. War. 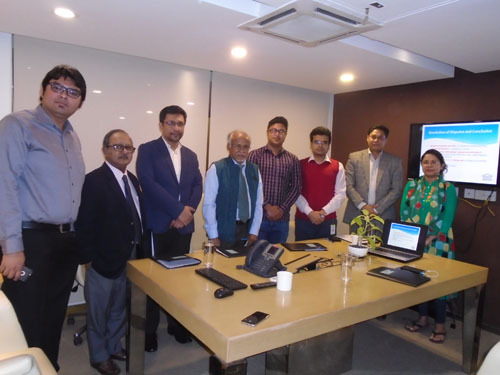 Win; Mr. Irfanul Alam Estiak, LLB, BRAC University; Mr. Monir Hossain, LLB, Northern University of Bangladesh; Mr. Noman Parvez, Brac University, Mr. Shamsul Karim M A Mamun, Chairman & CEO, M A Mamun & Associates; Mr. Palash Kumar Sarker, Assistant Manager (Accounts & Admin), ETCBL; Mr. Sakib Kamal, Associate Lawyer, The Legal Empiricism; Mr. Omar Faruk, Junior Officer, Everbert Accessories; Mr. Md. Golam Zakaria , Lawyer, Dhaka Judge Court; Mr. Drhobo Chakraborty, Advocate, Zaman & Associates; Mr. S M Mahfuzur Rahman; Mst. 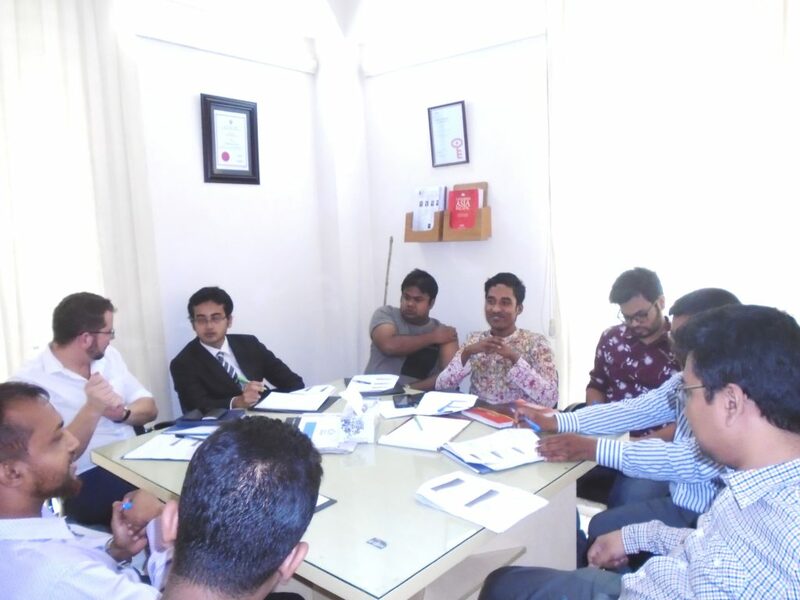 Jannati Rehena ; Mr. Azizul Hakim Bhuiyan; Mr. Nafij Al Islam; Mr. Mohammed Farhan Basher, Legal Intern, Accord Chambers; Mr. Kawser Ahmed, Finance Director, Justice Vision Foundation (JVF); Mr. Hakimul Islam, Finance & Accounts Manager, Bridge Holdings Limited; Mr. Gazi Mostafezur Rahman, Forever Business Owner-FBO, Forever Living Products BD. Limited; Mr. Md. 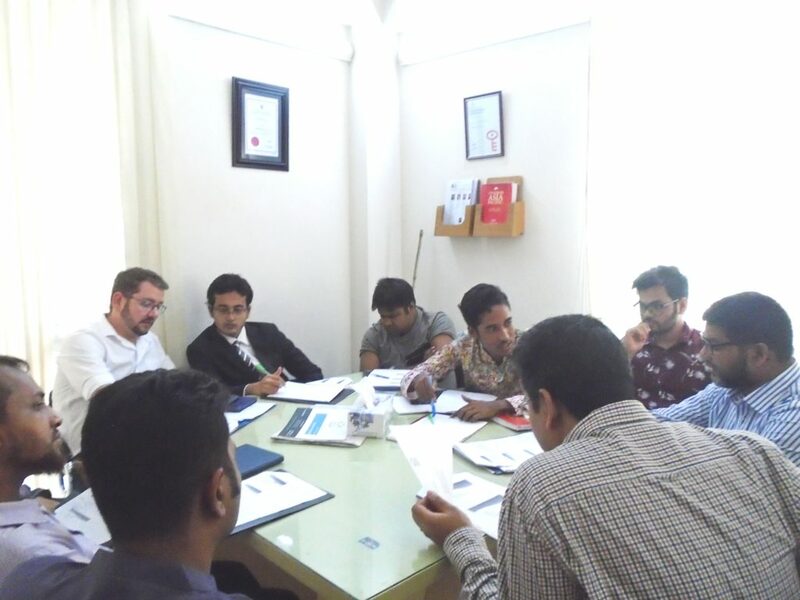 Rakib Uddin, Operations Manager, Meridian International (PVT) Limited; Mr. Nafij Al Islam Chowdhury; Accounts Executive, Meridian International. 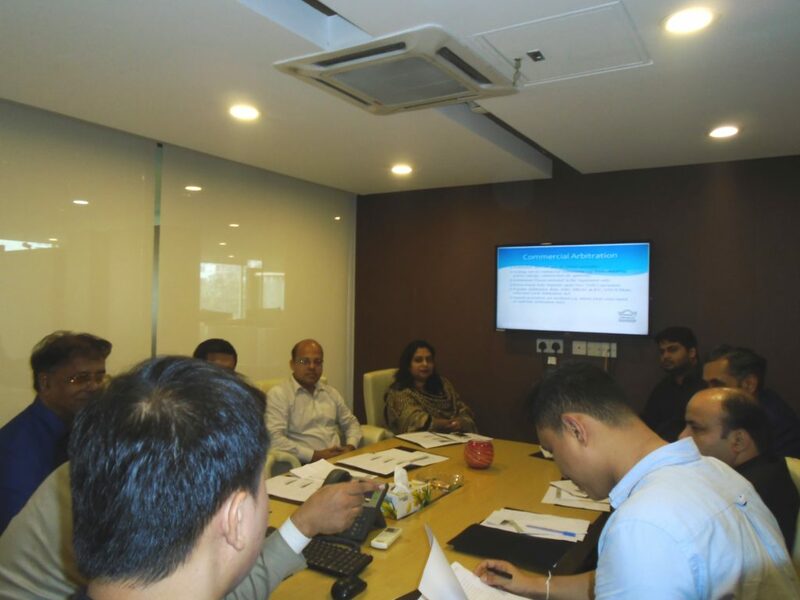 The Chambers held a Workshop on International Arbitration on 17th July 2018 At Conference Room, Gulshan Branch, Crystal Palace, House- SE (D) 22, Level-3, Road- 140, Gulshan South Avenue, Gulshan-1, Dhaka-1212, and Bangladesh. 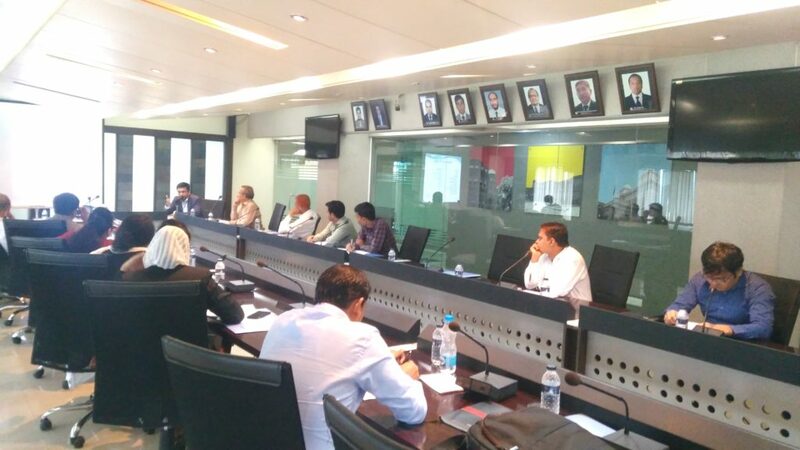 The following participants: Mr. Sarowar Hossen, Head of SCM, Unitex LP Gas Ltd; Mr. Hasan Mohammed Sami, Financial & Business Analyst, Unitex LP Gas Ltd; Ms. Shahnaz Parveen, Senior Manager, Export and Marketing, Aranya Crafts Ltd; Mr. Teerayoot Sooksood, General Manager, SCG Trading Co. Ltd. (Dhaka Liaison Office); Mr. Himel Chakma, Assistant Manager, SCG Trading Co., Ltd. (Dhaka Liaison Office); Mr. Gouranga Samadder, Consular Executive, High Commission of Sri Lanka, Dhaka; Mr. Baldev Bhinder, Partner, Advocate & Solicitor, Singapore, Solicitor, England & Wales; Mr. Monsur Alam; Senior principal officer, ID, Dhaka Bank Ltd; Mr. Major Md. Yead Ali Fakir. 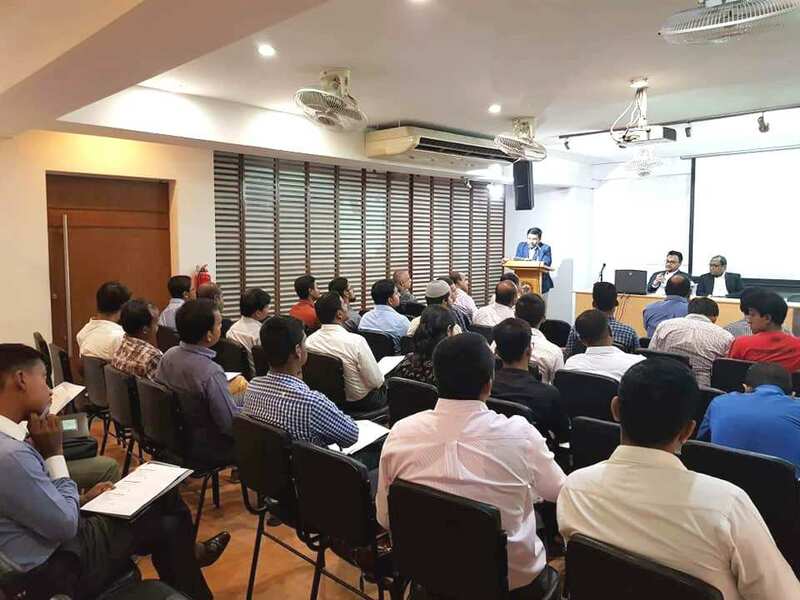 The Chambers held a Workshop on Property Acquisition & Disputes on 26th May, 2018 At Conference Room, Banani Main, Rangs Shawpnil, Flat No. - 2A, 2nd Floor, House No. - 02, Road No-2/3, Banani, Chairmanbari, Dhaka-1212. Bangladesh. 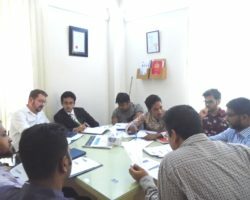 The following participants Mr. Jacobus Treurnich, International Land Manager, Phelan Energy Group; Mr. Tahmeed Galib, Legal Consultant, Phelan Energy Group; Barrister Monjur A Morshed ; Mr. Md. 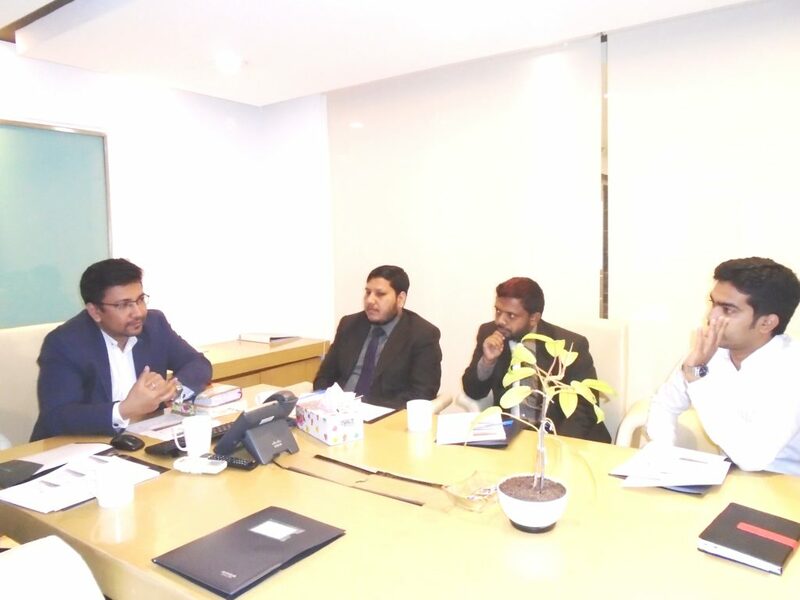 Hamim Ahsan, Executive Officer, Dutch Bangla Bank Limited ; Mr. Shajib Mahmud, L.L.M, Dhaka International University; Mr. Monir Hossain, Senior Legal Officer, Rupayan Land Development Ltd; Mr. Md. 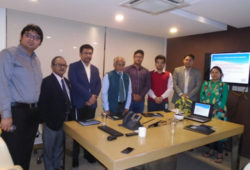 Shafayat Hossain, L.L.M, Northern University; Mr. Sultan M. Akash, Founder CEO, Law War Win. Mr. Mobarak Hossain to receive the crest from Rahman’s Chambers handed over by Mr. Md. Saiful Islam on behalf of G.A.B. 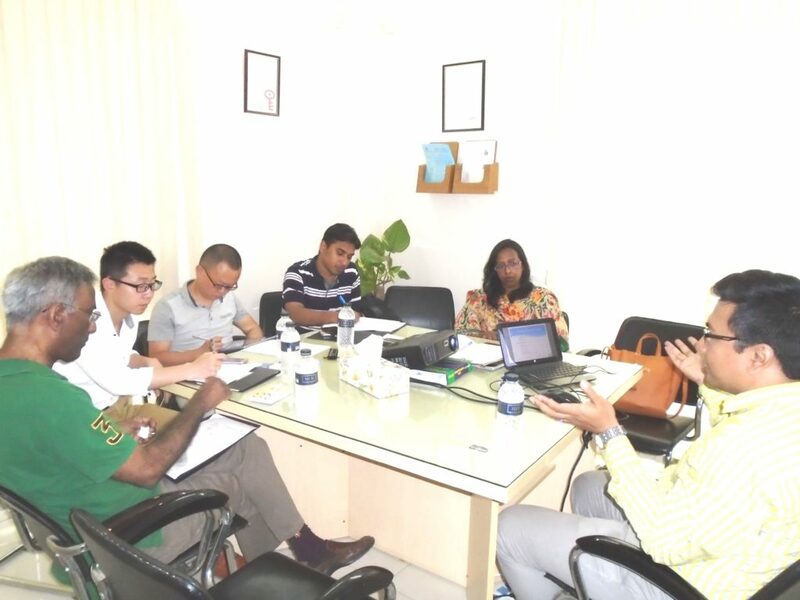 Limited (Gildan) for the area of Foreign Investment and Making Significant Foreign Investment in Bangladesh. Mr. Foiz Ahmed to receive the crest from Rahman’s Chambers handed over by Mr. Md. Saiful Islam on behalf of First Security Islami Bank Limited for the area of Banking, Finance & Investment Law and Contribution to HPSM Ship Finance. 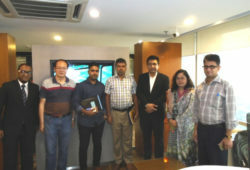 Mr. M A Akmall Hossain Azad to receive the crest from Rahman’s Chambers handed over by Mr. Md. 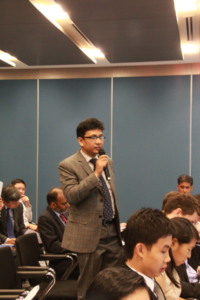 Saiful Islam on behalf of Bangladesh International Arbitration Centre (BIAC) for the area of Alternative Dispute Resolution and Contribution to Alternative Dispute Resolution of Bangladesh. 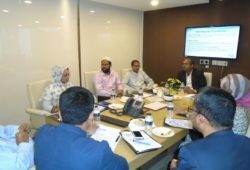 The Chambers held a Workshop on Power Plant Disputes on 28th November, 2017 at Conference Room, Gulshan Branch, Crystal Palace, House- SE (D) 22, Level-3, Road- 140, Gulshan South Avenue, Gulshan-1, Dhaka-1212, and Bangladesh. 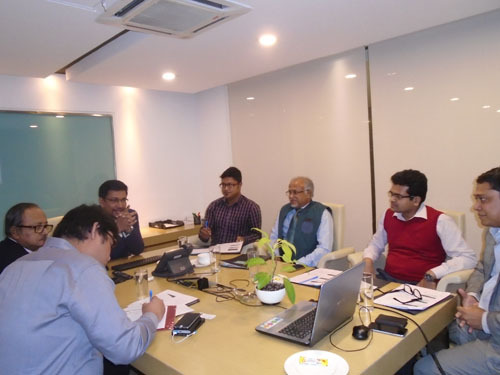 The following participants Mr. Mokabbir Sarkar, Officer (Legal), Bangladesh Infrastructure Finance Fund Limited (BIFFL); Mr. Amit Hossain, Manager, Doel Enterprise Ltd; Mr. Nahian Ferdous, Manager (Business Development & Coordination), Asa Group; Mr. Md. 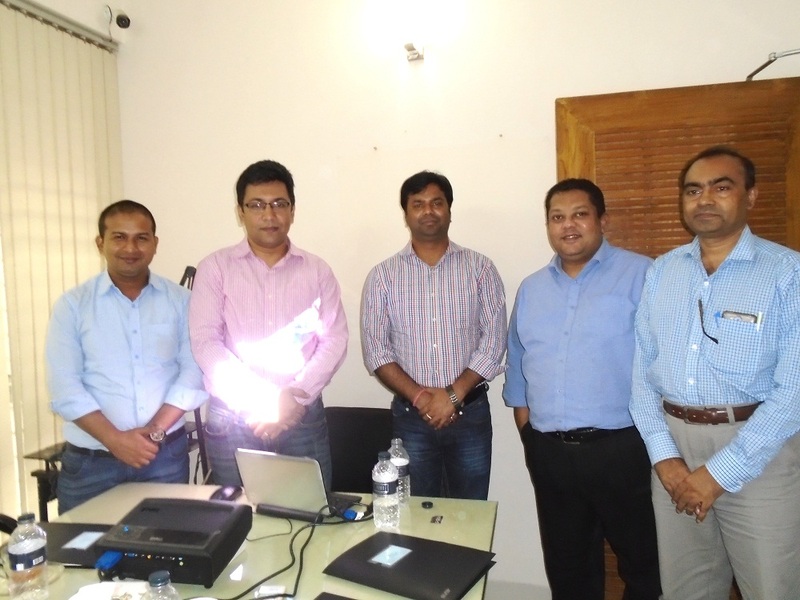 Irfan, GM-Accounts & Tax, Unitex Group; Mr. Mir Masud Kabir, Managing Director, Mango Teleservices Ltd; Mr. Golam Kibria, Managing Director, Ana Holdings. 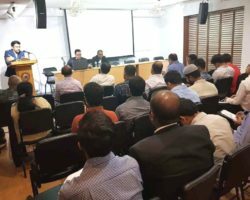 The Chambers held a Workshop on Property Acquisition & Disputes on 11th November, 2017 At Conference Room, Banani Main, Rangs Shawpnil, Flat No. - 2A, 2nd Floor, House No. - 02, Road No-2/3, Banani, Chairmanbari, Dhaka-1212. Bangladesh. 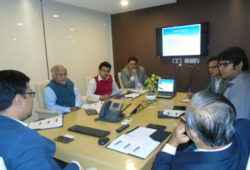 The following participants Mr. Soumitra Majumdar, First Assistant Vice President, United Commercial Bank Limited; Mr. Md. Muzaffar Hossain, Officer (Cash), First Security Islami Bank Limited; Mr. He Jian (Robin), Secretary and PS to President, Overseas Chinese Association in Bangladesh; Mr. Mohammad Zikrul Hossain, General Manager , Corona Group; Mr. Kamrul Haque Diack, Executive, Corona Oil & Lubricants Limited; Mr. Md. 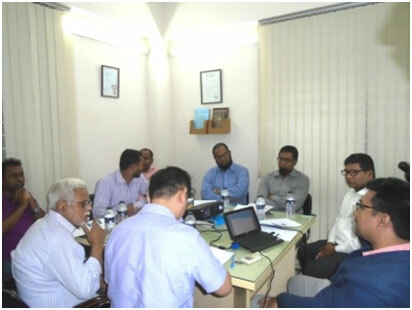 Ainul Haque, Former Country Manager LIoyd’s Register of Shipping for Bangladesh; Mr. Abu Hasem, Lawyer, Admin Legal & Compliance ; Roshawa Spinning Mills Ltd.
LIoyd’s Register of Shipping for Bangladesh. 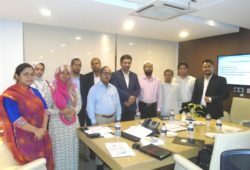 The Chambers held a Conference on Merger, Winding up; take Over & Corporate Matters on 24th October, 2017 at Conference Room, Gulshan Branch, Crystal Palace, House# SE (D) 22, Level-3, Road- 140, Gulshan South Avenue, Gulshan-1, Dhaka-1212, Bangladesh. 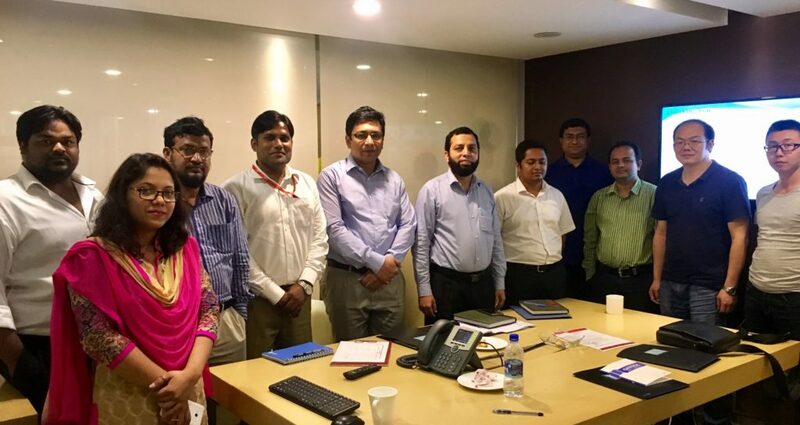 The following participants Mr. Mohammad Nazrul Islam, Corporate Financial Controller, Rahimafrooz (Bangladesh) Limited; Ms. Emrana Amjad, Senior Manager, Legal, Rahimafrooz (Bangladesh) Limited; Mr. Moklasur Rahman; Mr. M.I. 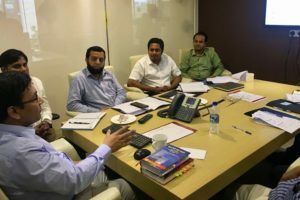 Miltan Bepari, Joint Senior Vice President , Accounts, Delta Life Insurance; Mr. Mahmudul Huq, Managing Director, Sadat Jute Industries Limited; Mr. Md. 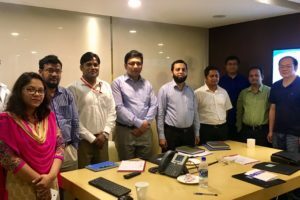 Sohel Bhuiyan, Senior Manager (Finance) , UGI Limited; Ms. Tahmina Akther, Assistant Manager (Accounts & Finance) , UGI Limited; Mr. Md. 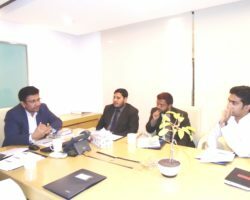 Asaduzzaman Mallik, Senior Vice President, Delta Life Insurance; Mr. Syed Tanveer Hussain. 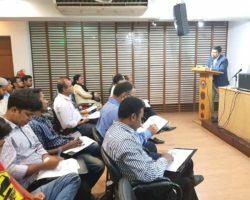 The Chambers held a Workshop on Admiralty, Maritime Laws and Ship Arrest on 18th September, 2017 at Book Room, Chittagong Metropolitan Chamber of Commerce & Industry (CMCCI). 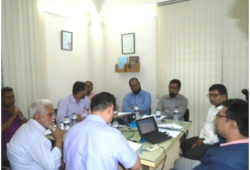 The following participants Mr. Jasim Ahmed, Managing Director, Bangladesh Container Line Ltd. ; Capt. 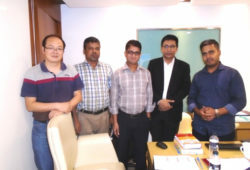 Gias Uddin Choudhury, General Manager, Continental Traders (BD) Limited (OOCL); Mr. Mohammed Shahidul Islam, Senior Assistant General Manager, Sea Star Shipping Lines Limited; Mr. Mohammad Shahin, Manager, Sea Star Shipping Lines Limited; Mr. Bikash Das, Manager (Claims), Maersk Bangladesh Ltd; Mr. Kazi Yasin Tazdani, Executive Customer Service, Maersk Bangladesh Ltd; Mr. Mohammad Murshed, Executive of Customer Service, United Parcel Service (UPS); Mr. Mamunul Hoque, Paralegal, Kamal Uddin & Associates and Abul Hasan & Associates, Chittagong Judge Court; Mr. Matiur Rahman; Assitant General Manager , Bengal Shipping Line Limited; Mr. Emran Uddin, Manager (Operations), Bengal Shipping Line Limited; Mr. Mushfiqul Alam, Senior Officer (Commercial), Banga Flavor and Fragrance Pvt. Limited; Mr. Sudip Kumar Chakroborty, Office Superintendent, Government Shipping Office, Chittagong; Mr. Md. 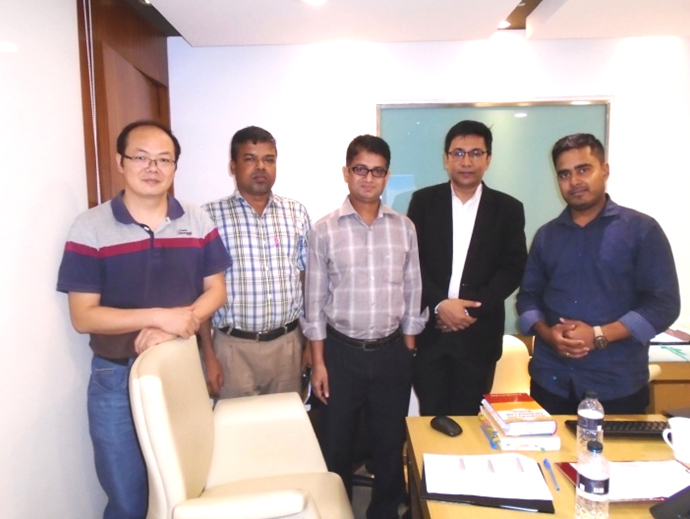 Zakir Hossain Chowdhury, Shipping Master , Government Shipping Office, Chittagong; Mr. Debashis Barua, Advocate, Chittagong Judge’s Court; Mr. Md. Ujjal Kanti Barua, Manager (Agency), Prantik Group; Mr. Capt. 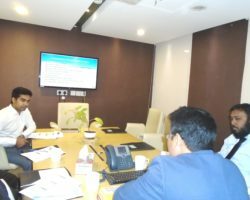 Mohammder Noman, General Manager (Operations), Prantik Group; Mr. S.M. 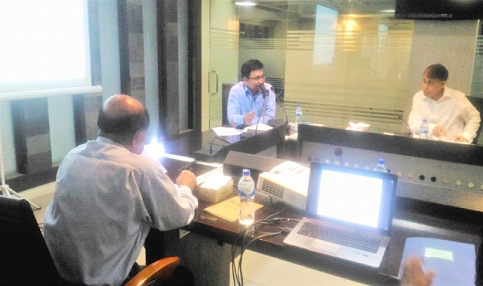 Farid Ahmed, Manager, Nabila Enterprise; Mr. Gazi Mostafizur Rahman, Convenor & Chief Coordinator; International Human Rights Protection and Implementation Council; Mr. 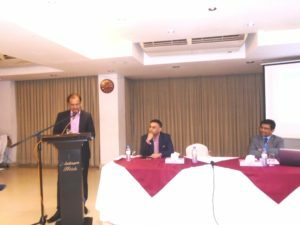 A.M. Mahbub Chowdhury, Vice President, Chittagong Metropolitan Chamber of Commerce and Industry also participated as a guest speaker. The Chambers held a Conference on Merger, Take over & Corporate Matters Disputes on 19th August, 2017. The following participants Mr. Mohammad Alim- Al. 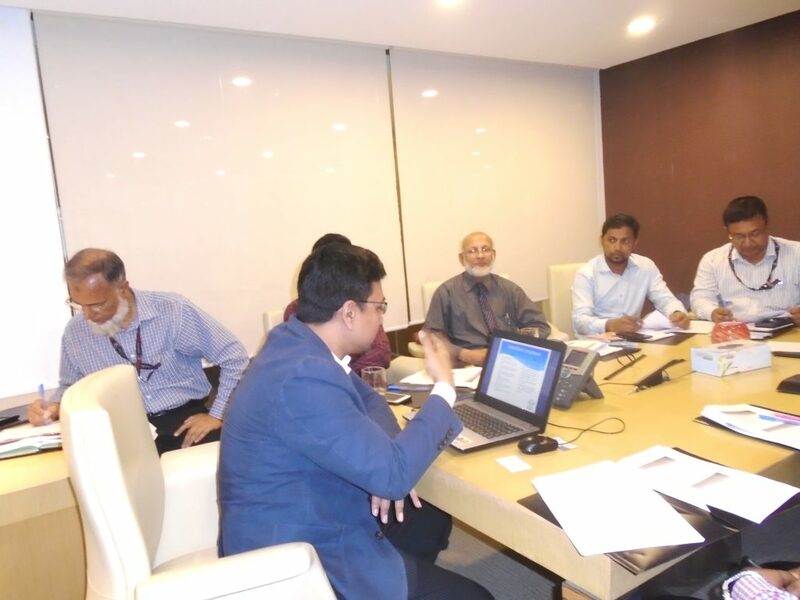 Razi , Joint Director, Bangladesh Bank; Mr. Mohammad Imam Hossain, Joint Director, Bangladesh Bank; Mr. Kashedul Huq Khondaker Assistant Legal Counsel , SQUARE Pharmaceuticals Ltd.; Mr. Md. 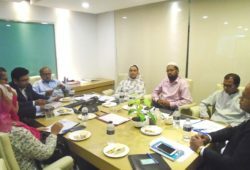 Golam Mostafa, Assistant Legal Counsel , SQUARE Pharmaceuticals Ltd.; Mr. Khairul Anam Mohiuddin, Senior Assistant Vice President, Southeast Bank Limited; Mr. Md. Manzarul Haque, Vice President, Dutch Bangla Bank Ltd. 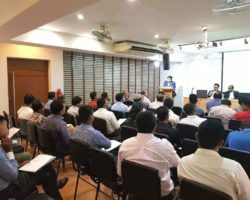 The Chambers held a Workshop on Construction &amp; Engineering Disputes on- 25 th April, 2017, from 3:30 pm to 5:00 pm. 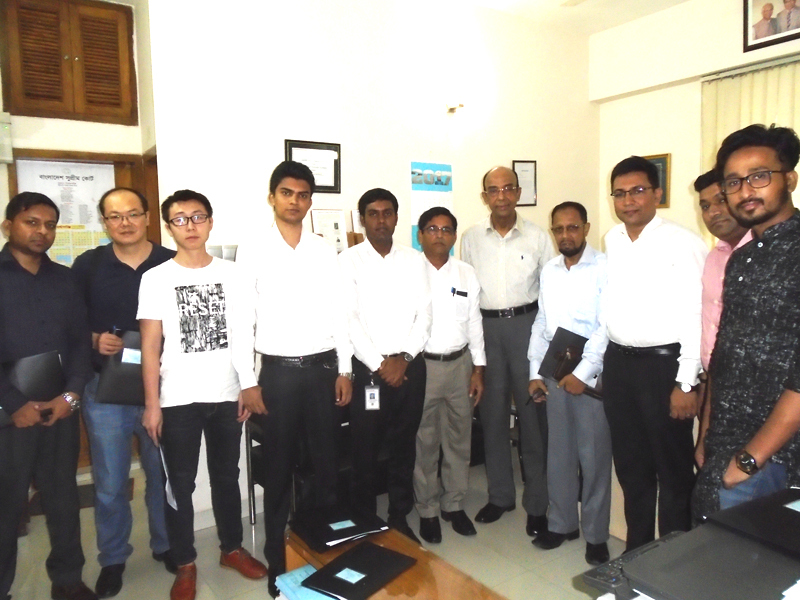 The following participants Mr. Tomhiro Saito, Administrative Manager, OSJI Joint Venture; Mr. Khadem Md Raiyan Sajid, CEO, MHK Infrastructure Developments; Mr. S.M Ashraful Alam, Deputy Project Manager, Charuta privet Limited; Mr. Rupam Sikder, Senior Officer, Charuta privet Limited; Engr. Md. 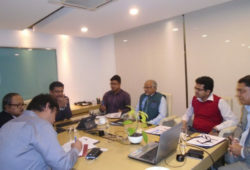 Maksudur Rahman, Senior Officer, Charuta privet Limited; Mr. Salek Mahmud, Executive Engineer, Dhaka Power Distribution Company Ltd (DPDC); Mr. Pingkal Saha, AGM, Continental Traders (BD) Limited (OOCL). Dr. S.M. 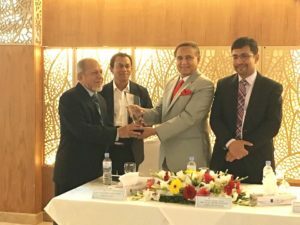 Akbar to receive the crest from Rahman’s Chambers handed over by Mr. Michael Schultheiss on behalf of UBICO – UAE Bangladesh Investment Company Limited for the area of Banking, Finance and Investment Law for Contribution in Equity Finance. Mr. Takeshi Okamoto to receive the crest from Rahman’s Chambers handed over by Mr. Michael Schultheiss on behalf of Itochu Corporation, Dhaka Liaison Office for the area of Labour and Employment Law for Having Excellent HR Policy and Employment Record. 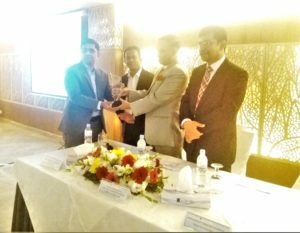 Mr. Rajesh Kumar to receive the crest from Rahman’s Chambers handed over by Mr. Tawfiq Ali on behalf of Saturn Textile Limited for the area of Foreign Investment and Business Setup for their contribution in Significant Foreign Direct Investment & Creating Employment. 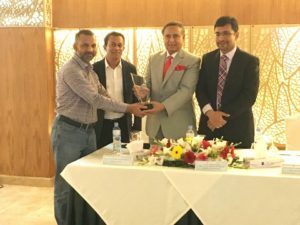 Mr. Ashish Jamal Haque to receive the crest from Rahman’s Chambers handed over by Mr. Tawfiq Ali on behalf of Maersk Bangladesh Limited for the area of Foreign Investment and Business Setup for their contribution in International Trade Practice of Bangladesh. 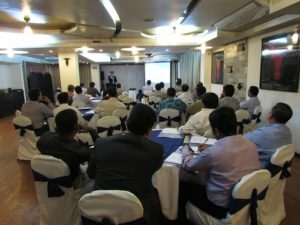 The Chambers held a Workshop on Power Plants Disputes on 27th October , 2016. 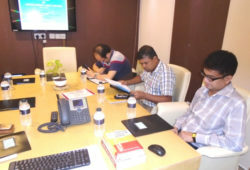 The following participants Mr. Zhang Yumin, Assistant Manager, Union Resources & Engineering Co. Limited (UREC); Mr. M.A. 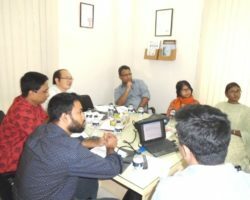 Munim Ratul, Assistant Manager, Woori Bank Limited; Mr. Saiydur Rahman, Principal Officer, Woori Bank Limited; Mr. Nirjhor Rahman, Service Provider, Service Provider, Water & Sanitation Urban Poor Bangladesh. 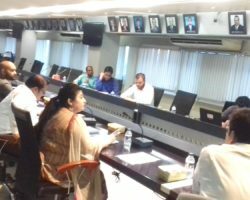 The Chambers held a Conference on Employment Laws of Bangladesh on 18th August , 2016. 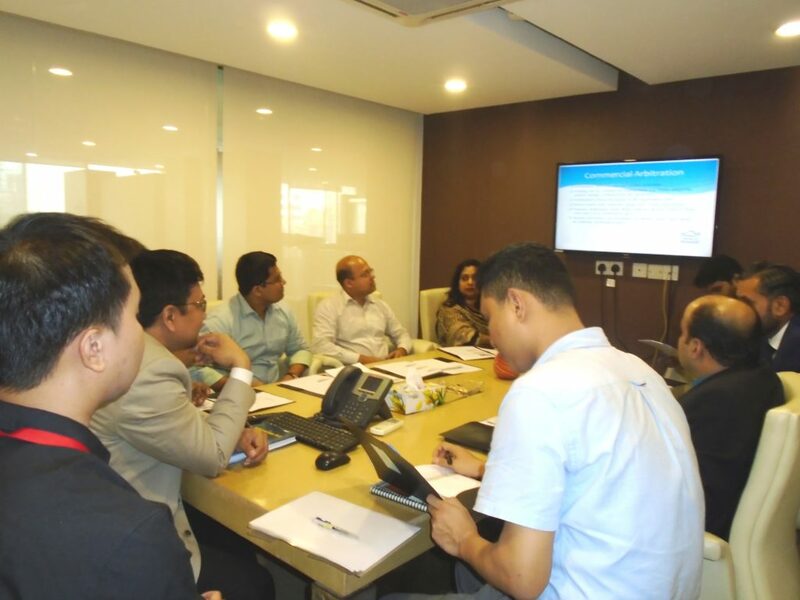 The following participants Mr. Li Shuntao, Commercial Officer, Union Resources & Engineering Co. Ltd (UREC); Mr. Zhang Yumin, Assistant Manager, Union Resources & Engineering Co. Ltd (UREC); Ms. Nushrat Jahan, Assistant Officer- HR & Admin, Uttara Foods & Feeds (BD) Ltd.; Ms. Nitika Dhawan, Head (HR & Admin), Uttara Foods & Feeds (BD) Ltd.; Mr. Jahidul Islam, Admin & HR, TM Textiles & Garmants Limited; Mr. Pingkal Saha, Assistant General Manager, Orient Overseas Container Line (OOCL). 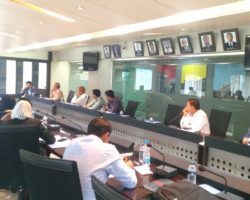 The Chambers held a Workshop on Business Set Up Laws on August 04, 2016. 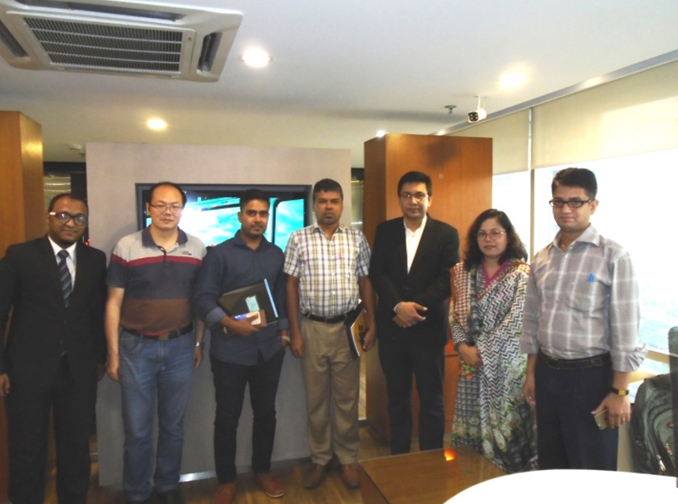 The following participants Mr. Li Shuntao, Commercial Officer, Union Resources & Engineering Co. Ltd (UREC); Mr. Shahidul Islam, Assistant Manager, Union Resources & Engineering Co. Ltd (UREC); Engr. Md. Intekhab Alam, Lead, Technical Team, Novelty Engineering Corporation. 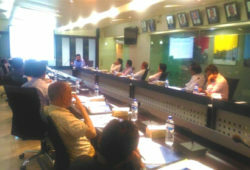 The Chambers held a Workshop on tax, vat & customs disputes on June 27, 2016. 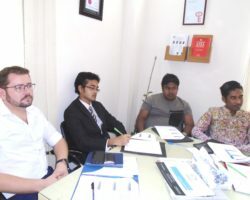 The following participants attended in the Workshop: Mr. Md. 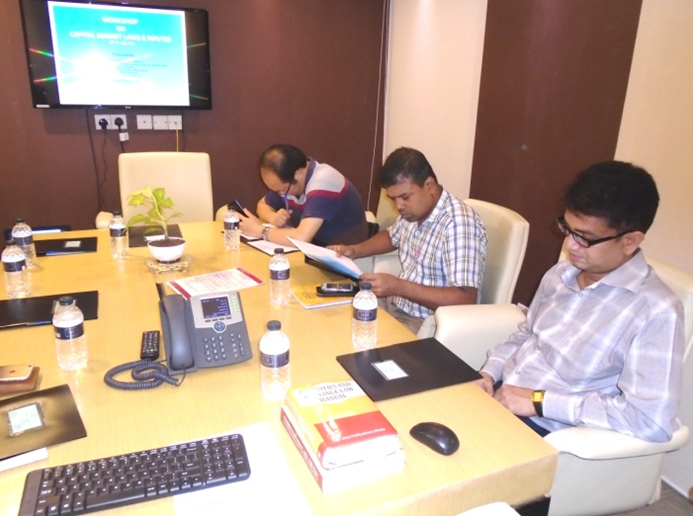 Noor E Alam, Senior Accounts Officer, YUKO LEATHER GOODS LTD.; Mr. Saiful Islam Tuhin, Assistant Accounts Officer, YUKO LEATHER GOODS LTD.; Md. 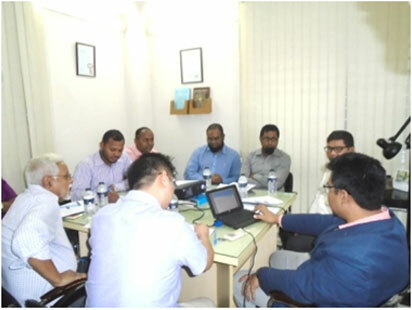 Abu Shaheen, Senior Executive (Accounts),MB Traders; Mr. Li Shuntao, Commercial Officer, Union Resources & Engineering Co. Ltd (UREC); Mr. Zhang Yumin, Commercial Representative, Union Resources & Engineering Co. Ltd (UREC); Mr. Shahidul Islam, Assistant Manager, Union Resources & Engineering Co. Ltd (UREC). 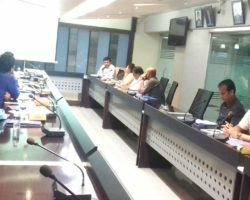 The Chambers held a Workshop on tax, vat & customs disputes on June 23, 2016. The following participants attended in the Workshop: Mr. Md. Shahan Shah, Advocate, Dhaka Judge Court; Ms. Afroz Zahan, Manager, Maruhisa Pacific Company Limited; Mr. Md. 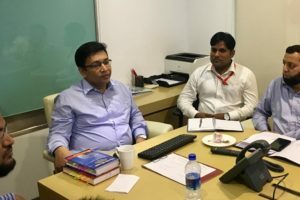 Refat Uddin Badruddoza, Manager, Itochu Corporation; Mr. Dulal Chandra Kundu, General Manager , Uttara Foods and Feeds (Bangladesh) Ltd. 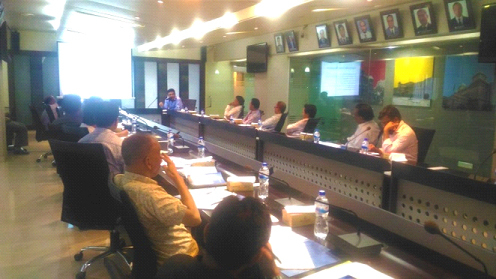 The Chambers held a Workshop on tax, vat & customs disputes on June 21, 2016. The following participants attended in the Workshop: Mr. Md. 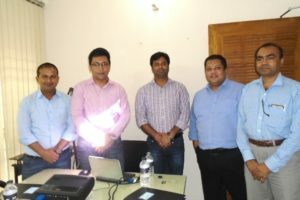 Deloar Hossain, Manager Finance & Accounts, Plastoccats Limited; Mr. Ali Naser Khan, Officer , Legal & Regulatory Affairs, Beximco Pharmaceuticals Limited; Mr. Md. Omar Faruk, Officer, FSIBL Head Office; Mr. Md. 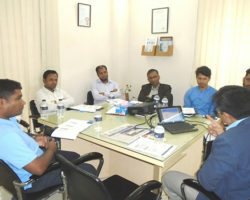 Itrat Hossain Jubery, Engineer, Bangla Trac Limited; Mr. Md. 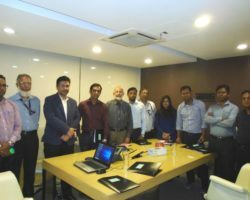 Hasibul Shams, Engineer, Diesel, Bangla Trac Limited; Mr. Md. 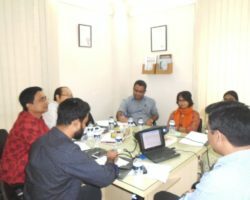 Mahmudul Hasan Oyon, Engineer, Diesel, Bangla Trac Limited; Mr. Md. Sanzidul Islam Sani,Engineer, Bangla Trac Limited. 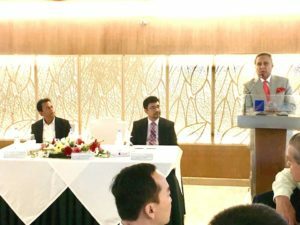 Organized By Rahman’s Chambers & Bangladesh Foreign Trade Institute, Supported by UNCITRAL, regional center for asia the pacific & Bangladesh International Arbitration Centre(BIAC). Venue: Pan Pacific Sonargaon Hotel, Dhaka. 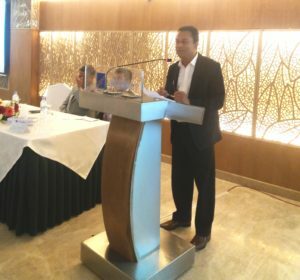 To commemorate and support World Fair Trade Day on May 9, 2015, RAHMAN’S CHAMBERS hosted a seminar in Pan Pacific Sonargaon Hotel, Dhaka. Honourable Mr. Justice AFM Abdur Rahman, High Court Division, Supreme Court of Bangladesh kindly graced the event as Chief Guest. His speech can bee found by clicking here. 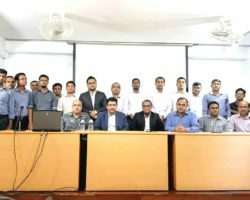 – Mr. Shah Abdus Salam,General Manager of Maersk Bangladesh Ltd.
– Mr. Ashish Jamal Haque, General Manager of Maersk Bangladesh Ltd. Questions were welcomed from the floor that featured prominent & Hon’ble Justices, industrialists, legal experts, stakeholders & managers. Fair Trade is a trading partnership, based on dialogue, transparency and respect, that seek greater equity in international trade. It contributes to sustainable development by offering better trading conditions to, and securing the rights of, marginalized producers and workers – especially in the South. It highlights the need for change in the rules and practice of conventional trade. The World Fair Trade Day is an initiative of the World Fair Trade Organization (WFTO) that takes place on the second Saturday of May of each year. It is an inclusive worldwide festival of events celebrating Fair Trade with the aim to bring greater justice in world trade. Annual get together and BBQ Dinner with light music event of Rahman’s Chambers, held at Platinum Terrace, Platinum Suites, Banani. Many thanks to our guests for attending the event. 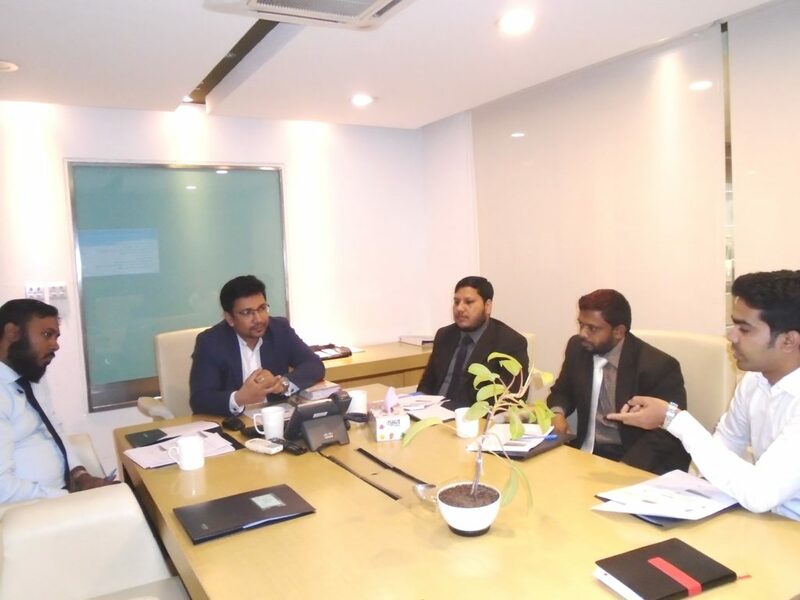 Mr. Qazi Mahmudur Rahman, Manager Bank Alfalah Ltd; Mr. Soweb Uddin Khan, Assistant Judge, Judge Court, Gaibandha; Mr. Mostafa Kamal, Manager, Commercial & Shipping Logistics Norwest Industries BD Ltd; Mr. Mohammad Habib Ullah, Assistant Manager. Keupark Bd (Pvt) Ltd ; Mr. Sanjib Lahiri, Manager-Commercial, Keupark Bd Pvt. Ltd ; Mr Mohammad Enamul Hoque, Manager Citibank N.A ; Mr . Sajjad Hossain, Vice President, Citibank N.A; Mr . Sayful Islam, Deputy Manager, EXPO Group; Mr. Mohammad Burhan Uddin, Assistant Vice President, Dhaka Bank Ltd ; Mr. S. M. Mahbubul Alam , Senior Assistant Vice President, Dhaka Bank Ltd ; Mr. C. Sundar Pandian, CFO Saturn Textiles Ltd. 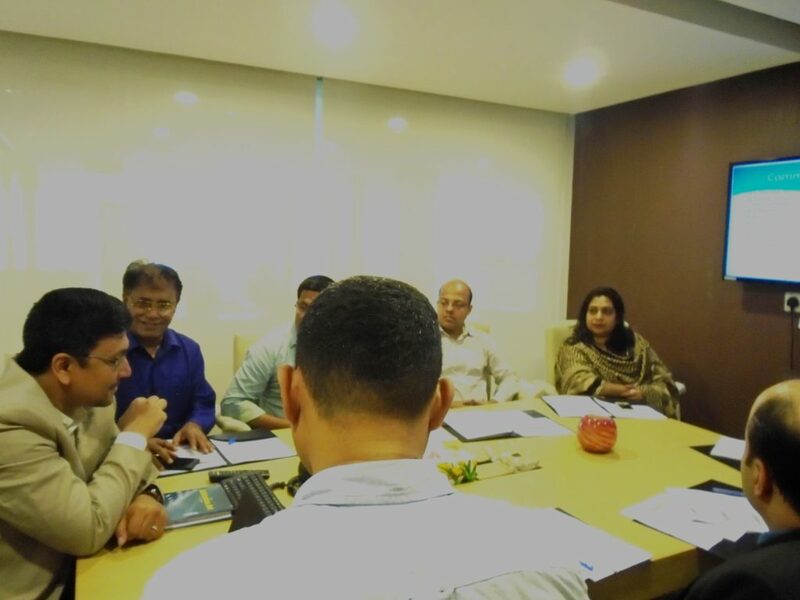 The Chambers held a WORKSHOP on International Trade Disputes on 20th April, 2014. 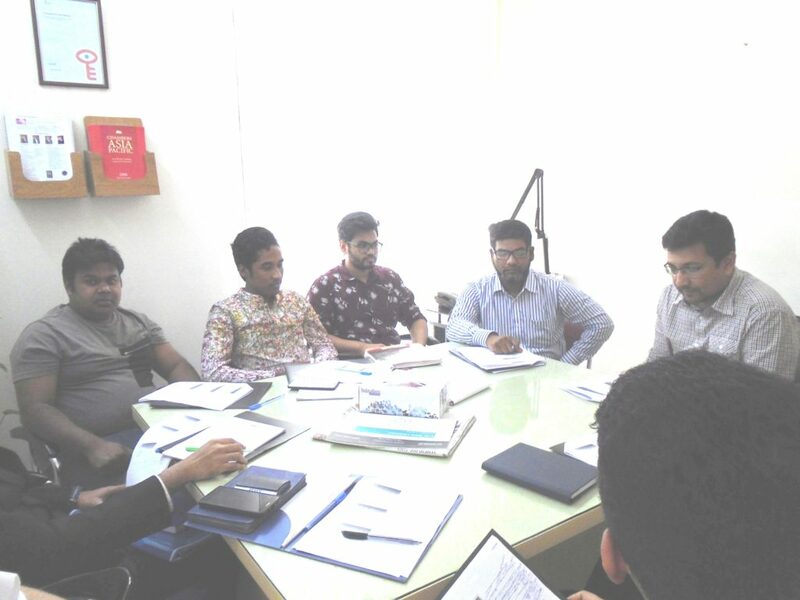 The following participant amongst others attended in the workshop: Mr. Sabbir Ahmed (Deputy Manager ) Bangla Cat, Mr. Rashed Anjuman (Deputy Manager) Bangla Cat, Mr. Asif Mahbub ( Assistant Manager) Mr. Al-Amin Sarker (Assistant Manager) Bangla cat, Mr. Ashaqur Rashid (Assistant Manager ) Bangla cat, Mr. Sakib Akhter (Senior Executive) Bangla cat,Munmun Ahmed ((Deputy Manager ) Bangla Cat, Mr.Sarower Hossain ( Executive) Bangla cat,Mr.Mrenal Hossain (Senior Executive ) Bangla Cat, Mr.Arifuzzaman ( Manager)Bangla Cat,Mr.Syed Imran Jafar (Senior Executive ) Bangla Cat, Mr. Zakaria Habbib (Engineer) Bangla Cat,Md.Nurul islam (Head of marine Sales) Bangla Cat, Mohammad Kowser Morshed (Senior Engineer) Bangla cat,Md. Abdul Jabbar (Deputy Manager ) Bangla cat, Mr.Ali Ahmed (Deputy Manager )Bangla cat,Mr.S.M Jamal(Assistant Manager ) Bangla Cat, Mr. Ashek Ahmed (Assistant Manager )Bangla Cat, Mr. Sharif Mollah ((Deputy Manager ) Bangla Cat,Moha.Imran Hossain (Assistant Manager ) Bangal Cat,Mr. 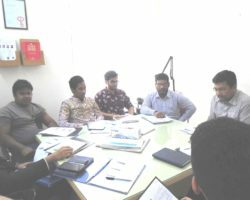 Matiur Rahman (Manager) Bangla Cat,Mr.Anup Kumar (Manager) Bangla Cat,Mr.Moynul Islam(Assistant Manager )Bangla Cat,Mr.Sajied Billah (Assistant Manager ) Bangle Cat,Mr.Galib Hamid (Assistant Manager )Bangla Cat, Mr. Arifur Rahman (Assistant Manager ) Bangla Cat, Mr.Fazla Elahie Chow. ( Assistant Manager)Bangla Cat,Mr Sahriar Ahmed (Manager) Bangla Cat, Mr. Abdul Qader Khan. 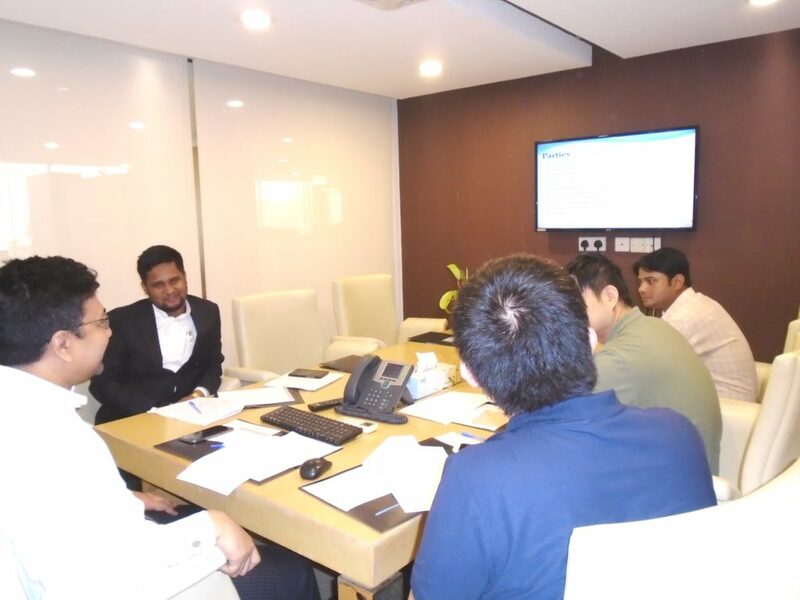 The Chambers held a WORKSHOP on Commercial Mediation on 6th July 2013. In the workshop the Mediation process as defined by CEDR has been discussed. Foundation knowledge on Commercial Mediation has been delivered. Participants were able to understand advantage and disadvantage of litigation and Commercial Mediation. The following participant amongst others attended in the workshop: Brig. General M Mofizur Rahman, psc, p Eng (Retd), Lead Auditor & Consultant, Former Executive Chairman BEPZA, R&G Group, Mr. Abu Taher, First Vice President, First Security Islami Bank Ltd. Dilkusha Branch, Mr. C Sundara Pandian, CFO, Saturn Textiles Ltd. Mr. Dilip Kumar Paul, A.G.M (Comm. 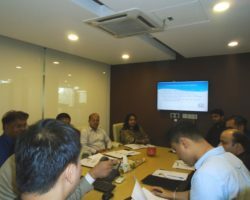 ), Hwa Well Textile (BD) Ltd. 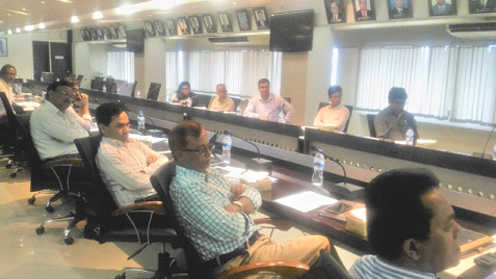 The Shipper’s Council of Bangladesh arranged a workshop on Cost Effective Import-Export of Cargo Under Multimodal Transport System was held on 5th-6th January 2013 at Dhaka Chamber of Commerce & Industry (DCCI) Auditorium. The workshop was inaugurated by the Chief Guest, Hon’ble Minister for Shipping Mr. Shahjahan Khan, MP. The Special Guest, Commodore Zobair Ahmed, ndc, BN, DG Dept of Shipping, MOS, GOB,Mr. 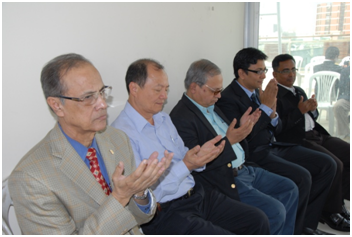 Mahbub Ahmed, Secretary Commerce GOB, Mr. Syed Manjurul Islam, Secretary, Ministry of Shipping GOB were also present. The resource person Mr. Forrukh Rahman, head of Rahman’s chambers made a presentation on law of Carriage. 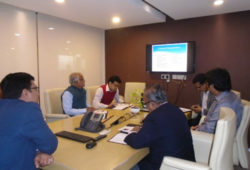 Other presentation made and discussion sessions were conducted on several issue of shipping industry by Mr. Habibullah N Karim, Founder and CEO Technohaven & Former Present BASIS, Mr. Karar Mahmudul Hassan, FCILT, Vice President CILT, Former Secretary GOB, Mr. Syed Ershad Ahmed, CM & MD Expeditors (BD) Ltd, President FCCI, Former President AmCham, Prof Mamun Rahid, Professor and Director, BRAC Business School, BRAC University, Former CEO, Citibank NA Bangladesh, Mr. Ahamedul Karim Chowdhury, Deputy Traffic Manager, ICD kamalapur, Dhaka ,Mr. Jasim U. Ahmed, MD BD Container Lines Ltd Ctg, Fomer Director, SCB, Mr. Md. 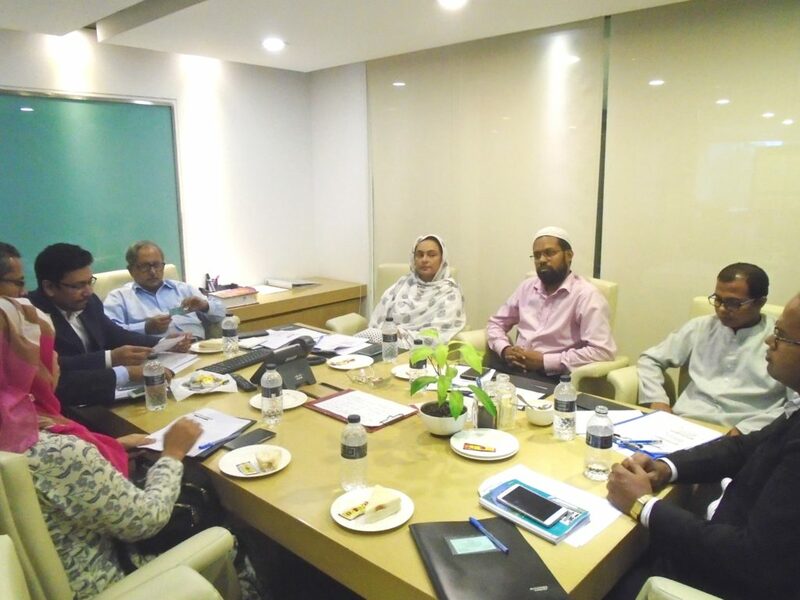 Rafiqul Islam, Deputy Director (Training), REB, Mr. Mohammad Hossain, MD, Asset Management Ltd., Ms Halima Begum, Senior Training Officer (Operation),CPA,Ctg, Mr. Ghulam Muhammed Quader, MP, Hon’ble Minister for Commerce, Mr. Md. Azhar Ali Miah, Former Executive VP, Bank Asia, Mr. Md. Azhar Ali Miah, Dr. Md. 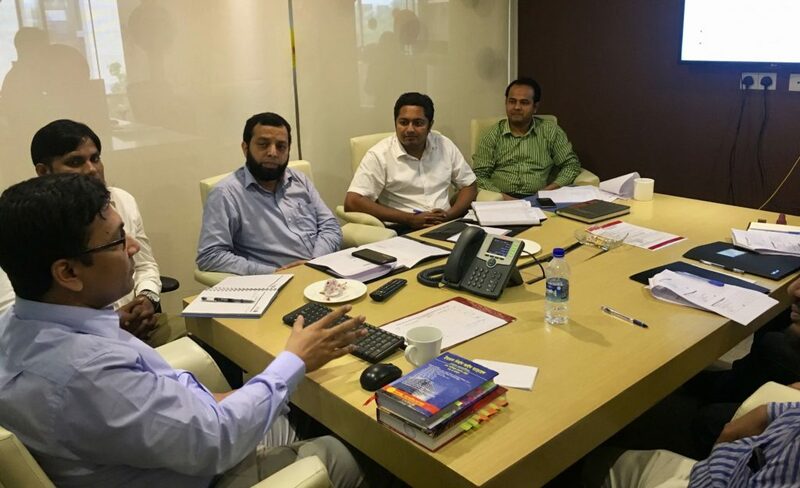 Matiur Rahman , Additional DG, Customs, Excise, Training Academy, Brig Gen M Mofizur Rahman, SCB Consultant, Lead Auditor & consultant on ISO standards, R & G Group, Mr. Hadi Hussain Babul, Former Chief of planning CPA, Cdre Mahmmed Farooque, Former Chairman, CPA, Mr. Md. 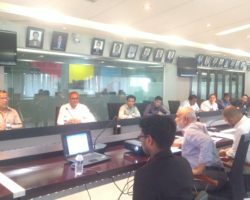 Hashmat Ali, MD Continnental Insurance Ltd., Capt Shafiq Bhuiyan, Group Chair Trister Group, Marine Supveyo & consultant, Mr. Mahboob Ahmed, MD, Shipwrights Resource Ltd.
Amongst other following persons participated in the session Mr. Md. Abdul Wahab , AGM & In-charge (U/W Department), Nitol Insurance Company Ltd., Mr. A.T.S. Mahmood Quraishi, Sr. 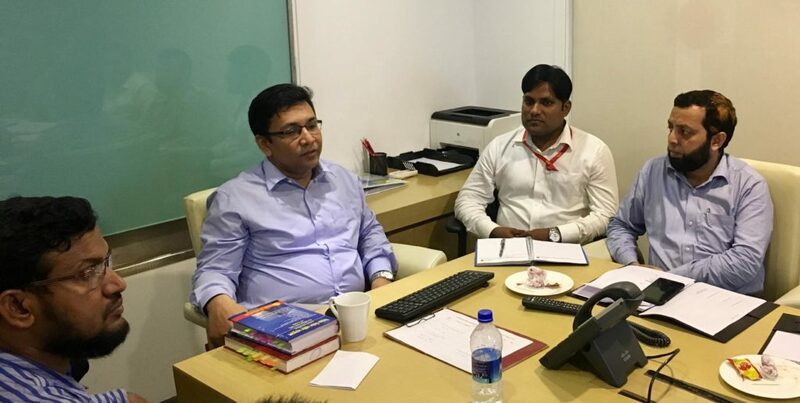 Manager (Export), Jute Spinners Ltd., Mr. Komolesh Chandra Saha, Manager (Export), Supreme Jute & Knitex Ltd., Mr. Md. 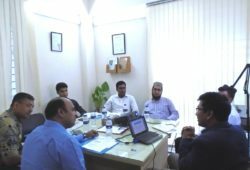 Lutfor Rahman Manager-Trade Services, Bank Alfalah Limited, Mr. Shahed Ahammed, Deputy General Manager (Marketing), Bangladesh Jute Mills Corporation (BJMC), Jb. Monir Ahammad, Assistant Vice President, International Division, Al-Arafa Islami Bank Ltd., Mr. Md. 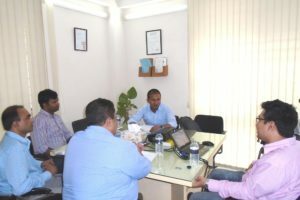 Golam Rasul, Senior Manager, PRAN-RFL Group, Mr. Mohammad Rezaul Karim, Assistant Manager (Chartering and Tramping), Bangladesh Shipping Corporation, Mr. Md. Mizanur Rahman, First Asst. Vice President, Mutual Trust Bank Ltd., Mr. Md. Mizanur Rahman, Senior Executive Officer, International Trade Finance Division, Sonali Bank Ltd., Mr. Md. 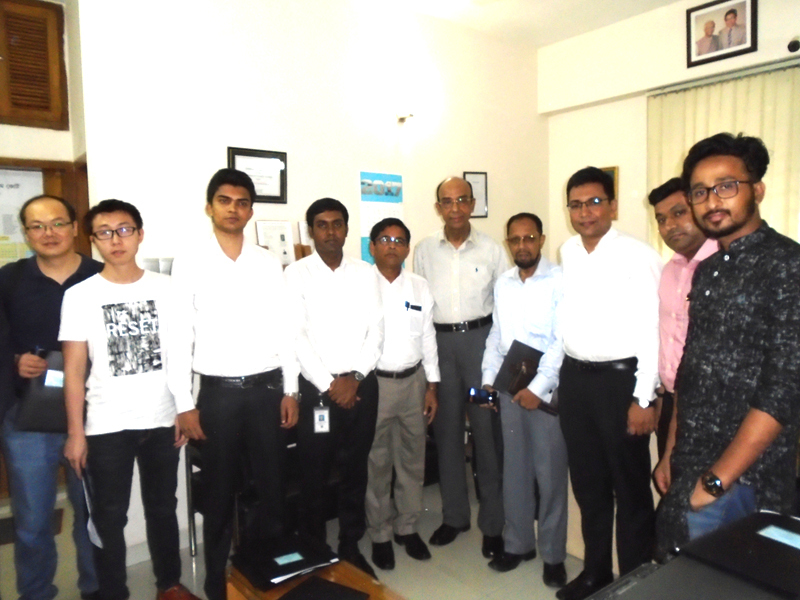 Mosharraf Hossain Howlader, General Manager (Commerce), BIWTC (Bangladesh Inland Water Transport Corporation), Mr. M.M. Nazmul Hasan, Manager (Container Management & Eq. Control), Richfield Shipping (Bangladesh) Pvt. Ltd., Mr. Md. 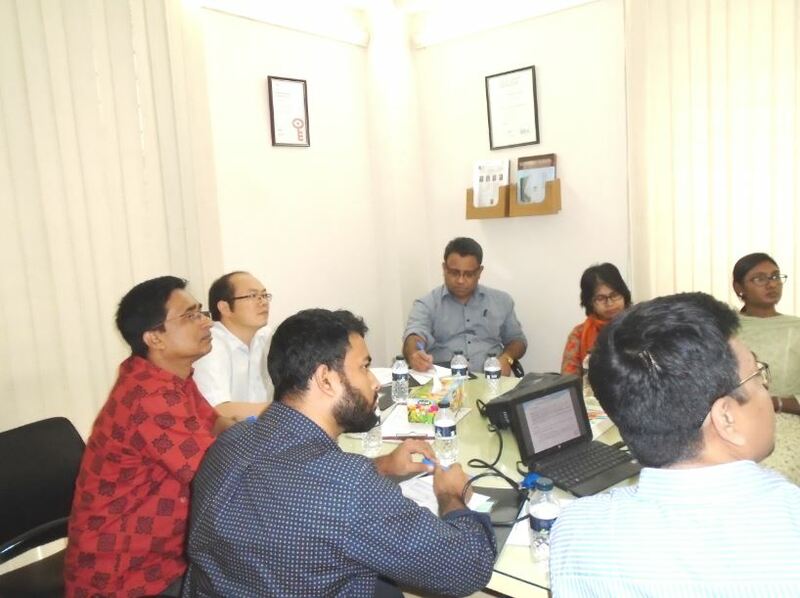 Nurul Akher, Manager (Sales & Marketing), World Gate (BD) Express Lines, Mr. Md. 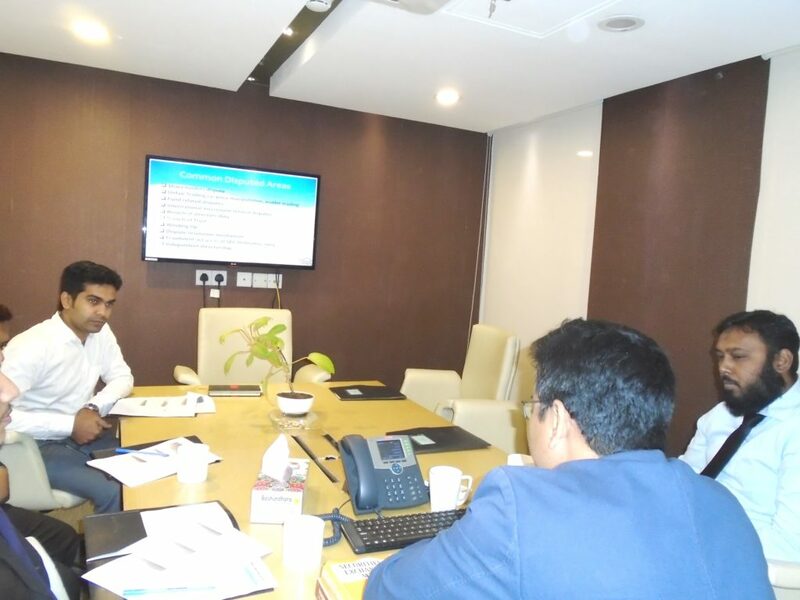 Mohiuddin Alamgir, Senior Officer, Bank Asia Limited, Mr. Md. 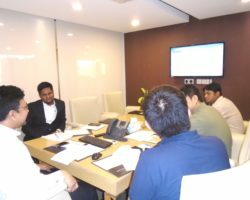 Rezaur Rahman, Assistant Manager, BASIC Bank Ltd., Mr. Md. 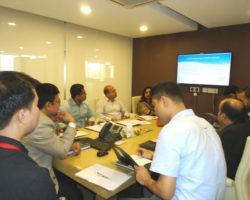 Nurul Amin, Deputy General Manager, IT and FCMD, Agrani Bank Limited, Mr. Md. 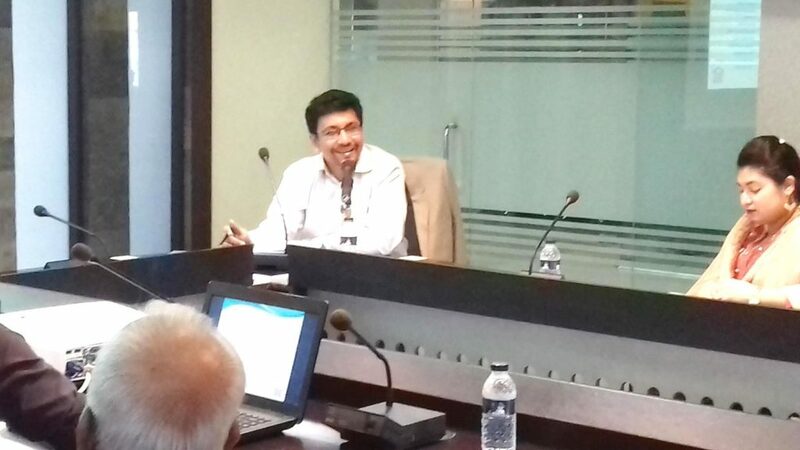 Nurul Absar, Deputy General Manager, Agrani Bank Limited, Mr. Md. 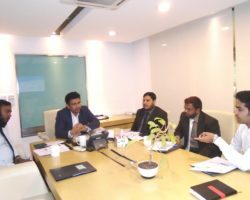 Ismail Hossain, Deputy General Manager, Agrani Bank Limited, Mr. Mohammad Ullah, Assistant General Manager, Training Institute, Agrani Bank Limited, Mr. Md. 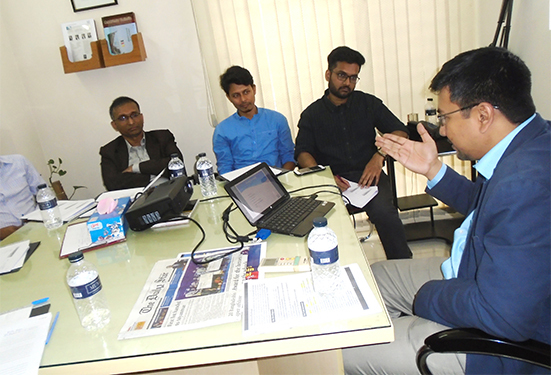 Ruhul Amin Chowdhury, Assistant General Manager, Audit Inspection Division, Agrani Bank Limited, Mr. Md. 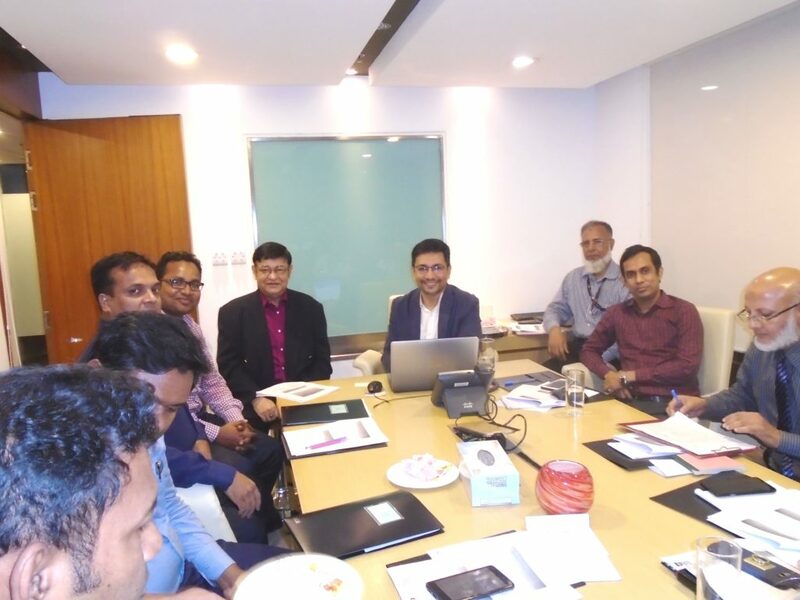 Kamrul Hassan Talukder, Senior Assistant Vice President, Dhaka Bank Ltd., Mr. Hosainul Haider Chowdhury, Assistant Vice President, CPC Trade Operations, Dhaka Bank Ltd., Mr. Md. 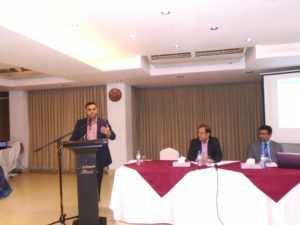 Lutfur Rahman, Assistant Vice President, Southeast Bank Ltd., Mr. Md. Mozammal Hoque, Senior Principal Officer & In-charge of Foreign Trade Department, Southeast Bank Ltd., Mr. Md. 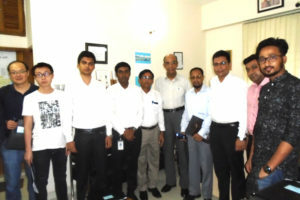 Abdullah-Al-Mamun, First Assistant General Manager, Janata Bank Ltd., Mr. Ahiduzzaman, Senior Executive Officer, Export Department, Janata Bank Ltd., Mr. Muhammad Akter Faruk, First Assistant Vice President, EXIM Bank Ltd., Mr. Mostofa Shaukat Imran, Executive Officer, International Division, EXIM Bank Ltd., Mr. Md. Akhter Hossain, Executive Vice President, International Division, Shahjalal Islami Bank Ltd., Mr. Md. 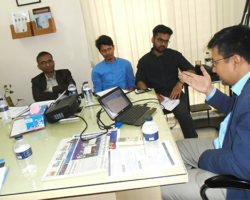 Faruk Hossain, Principal Officer, Mercantile Bank Lid., Mr. Muktader, Executive Officer, Mercantile Bank Lid., Mr. Md. 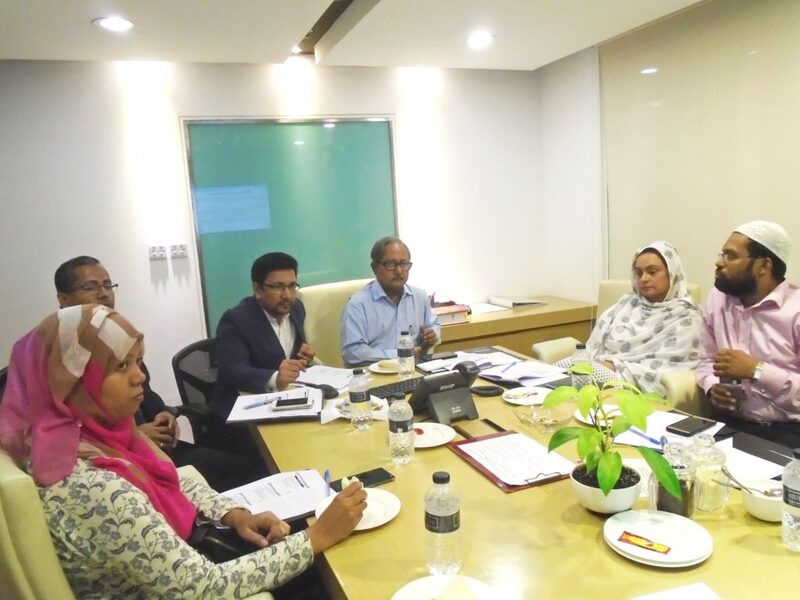 Kamrul Hasan, Manager (Sales), Novo Cargo Services Ltd., Mr. Kaushik Barua, Deputy General Manager, Novo Cargo Services Ltd., Ms. Farzana Sadeque, Secretary to Managing Director, Novo Cargo Services Ltd., Mr. Masubur Rahman Senior Principal Officer, First Security Islami Bank Ltd., Mr. Md. Mohosin Alam Sarker Commercial Manager (Import), Citadel Apparels Ltd, Mr. Md. 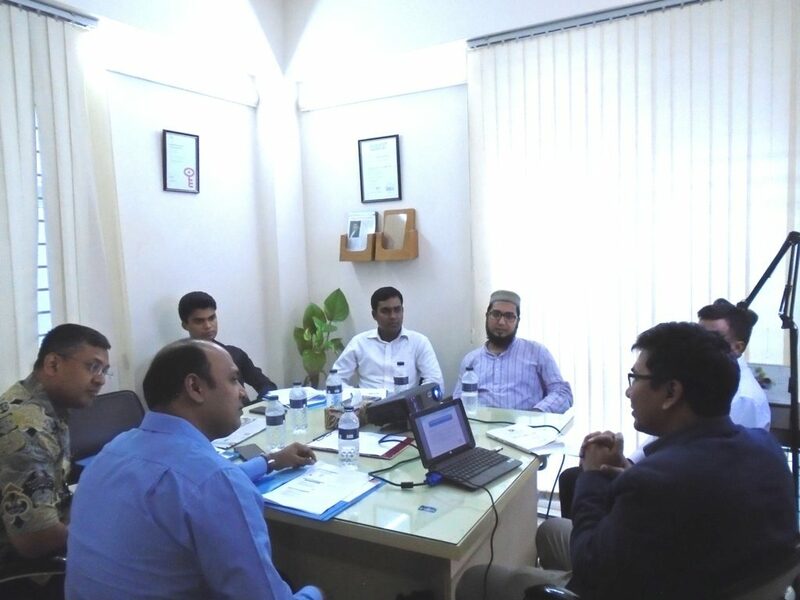 Mahbub Uddin Ahmed, Assistant General Manager, Uttara Bank Ltd., Mr. Amir Uddin Chowdhury, Executive (Export & Sales) Partha Jute Mills Ltd, Mr. Rahamotullah, Officer (Commercial), Sungnam Textile Mills Ltd., Mr. Mollah Al-Amin, Officer (Commercial), Savar Dyeing & Finishing Ind. Ltd., Janab Md. 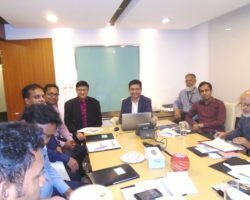 Hossain Akhter, Senior Principal Officer, Islami Bank Bangladesh Ltd., Mr. Nabadip Kumar Mitra, Senior Executive, Powermann Bangladesh Ltd., Mr. Md. 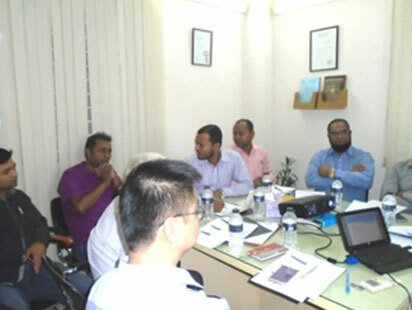 Mahbubullah, Director (Traffic), Mongla Port Authority (MPA), Mr. Nasib-UL-Amin, Research Associate, Business Initiative Leading Development, Mr. Mashfiqur Rahman Rashedi, Research Associate, Business Initiative Leading Development, Mr. Tahmid Tazwar Shuvin, Business Development Officer, Technohaven Company Ltd., Mr. Khaled Mahmud, Assistant Manager (Co & IR), Bangladesh Export Processing Zones Authority (BEPZA), Mr. Gilbert Bivash Bayen, Country Manager, Roulin (BD) Ltd., Mr. Md. 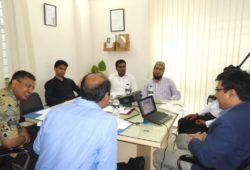 Gausul Azam Khan, Assistant Manager (Commercial), Nakano International Co. Ltd., Mr. Aowlad Hossain, Executive , R & A Traders, Mr. Md. 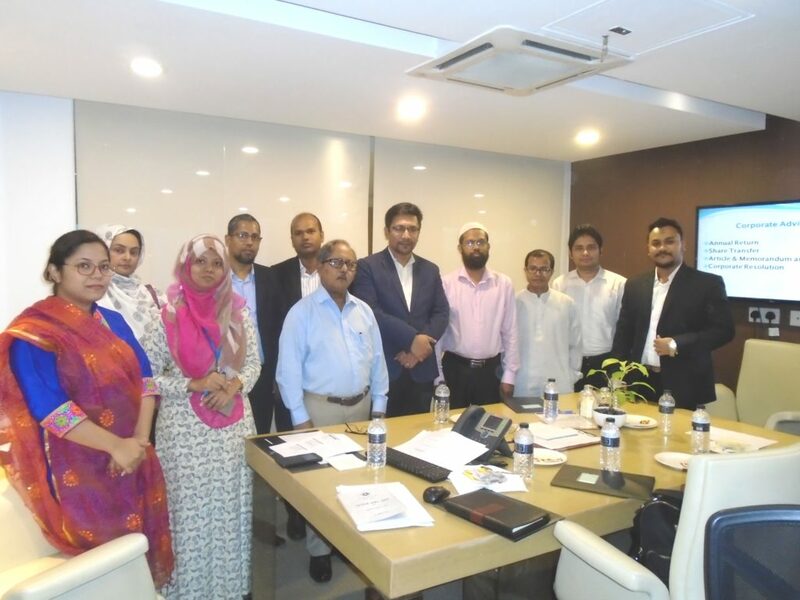 Imran Ali, Country Manager, International Cotton Agency (ical) Ltd.The workshop was closed with valuable remark from Mr. Nasiruddin Ahmed, Chairman, Shipper’s Council of Bangladesh. 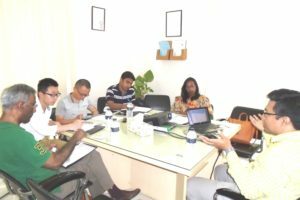 Grameen Danone Foods Limited, a social business company being a joint venture between Grameen entities and Danone entities of world famous Danone group have executed a Preference Share Subscription Agreement. 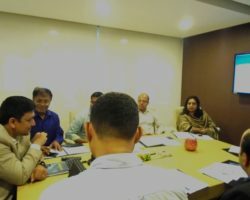 The agreement was unique for having some distinctive features with regards to rights and liabilities of the investors of social business. Rahman’s Chambers along with DLA Piper, France drafted the same in compliance with relevant laws. 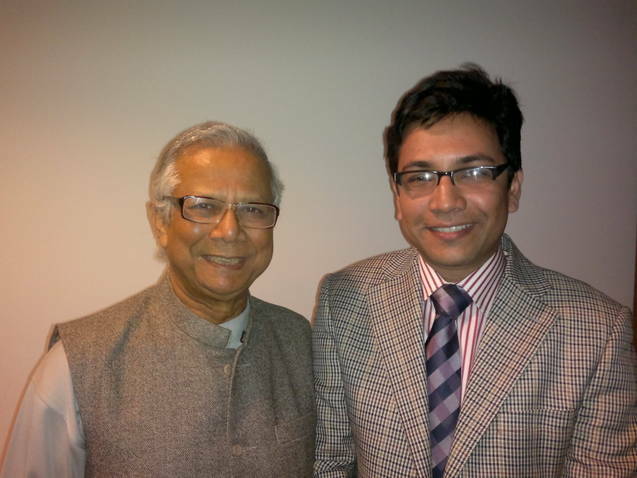 Nobel Laureate Prof. Muhammad Yunus, Chairman of Grameen entities was present in the execution meeting. Mr. Rahman with Mr. Justice Imman Ali, the Hon’ble Justice of Appellate Division and Mr. Ajmalul Hossain QC, Senior Advocate, President BAB. 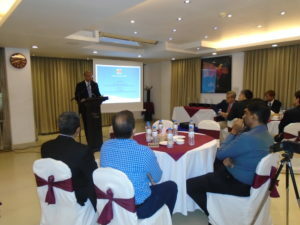 The President of Barristers’ Association of Bangladesh (BAB), Mr. Ajmalul Hossain QC, Senior Advocate & Bencher of the Hon’ble Society of Lincoln’s Inn hosted a dinner for the members at Winter Garden, Hotel Ruposhi Bangla, Dhaka on 08 March 2012. Amongst many dignitaries Mr. Md. Muzammel Hossain, Barrister, the Hon’ble Chief Justice of Bangladesh and Mr. Shafique Ahmed, Barrister & Minister, Ministry of Law, Justice and Parliamentary Affairs also attended in the Dinner. 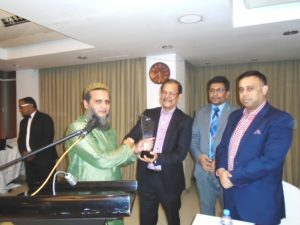 Dr. Kamal Hossain gave his valuable speech as the most senior member of the Association. 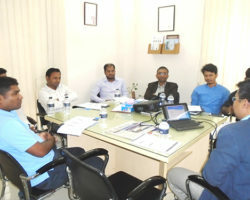 Executive Course on VAT was held on 18-19 May 2012 at BD jobs training centre. The resource person Dr. Md. 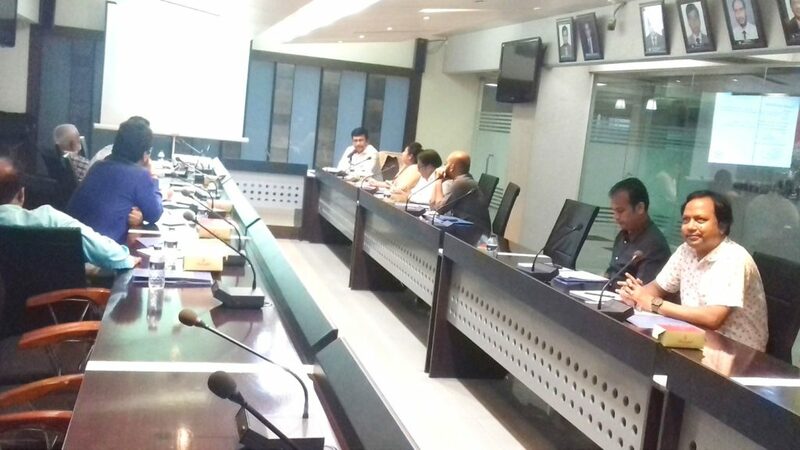 Abdur Rouf, the First Secretary of National Board of Revenue conducted the session. 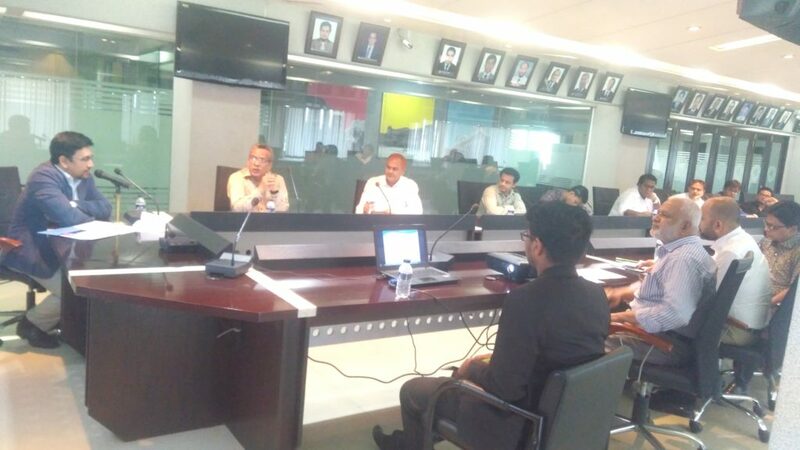 Mr. Forrukh Rahman Head of Rahman’s Chambers participated in this course. 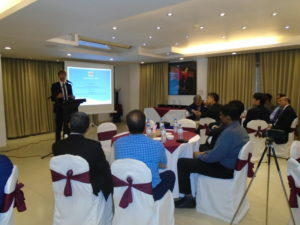 A Symposium namely SIArb 2012 took place at 32 Maxwell Road, 02-07 Maxwell Chambers, Singapore on 8 June 2012. Mr. Mohammed Forrukh Rahman associate member of SIArb and head of Rahman’s Chambers participated in the event. Symposium was divided into three interactive sessions. Session I was The Arbitration- Conduct, practice and procedure, conducted by Mr. John Savage (Singapore) and Ms.Lucy Reed (USA).Session II was The Tribunal- Jurisdiction, Power and Duties, conducted by Mr. Guy Spooner (Singapore) and Mr.Eun Young Park (Korea). Session III was The Courts-Role, Support and Enforcement, conducted by Mr. Chong Yee Leong (Singapore) and Mr.Ciccu Mukhopadhaya (India). Symposium was inaugurated with lot of thanks given by the president Mr. Mohn R Pilly.He gives his valuable opening speech. 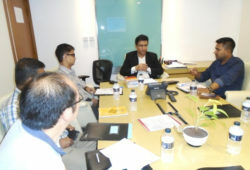 Amongst many other Mr.Ganesh Chandru, senior associate of CLASIS LLC, 3 Anson Road, 21-01 Spring leaf Tower, Singapore, Mr. Mark McGeoch,general manager of Fairway Singapore, Land Tower,37th Floor,50 Raffles Place, Singapore,Mr.Raymond Chan, advocate & solicitor notary public commissioner for oaths, 133 cecil street,kech seng tower 16-02,Singapore,Mr.HayleyNaidoo,manager of MDD,65 Chulia street,36-08,OCBC Centre, Singapore,Mr.RajendraNavaratnam,chartered arbitrator of Azman Davidson &Co, Suite 13.03,13th Floor,Menara Tan & Tan,207 Jalan Tun Razzak , Kuala Lumpur, Malaysia,Mr.Edmund Kronenburg ,managing partner of BraddellBrothers ,one Raffles Place30-02 ,Singapore,Mr.Mahesh Rai ,senior associate of DREW & NAPIER ,Mr. Chong Yee Leong,partner of RAJAH TANN,9 Battery Road#25-01,Straits Trading Building Singapore,Mr.Andre Arul, advocate & Solicitors of ARUL CHEW & PARTNERS ,20 Maxwell Road #02-13/14 Maxwell House, Singapore,Mr.Ashish Chugh,associate of K&L Gates,10Collyer Quay #37-01,Ocean Financial Centre, Singapore,Dr.Eun Young Park, member of Korean & New York Bar,Seyang Building ,223 Naeja-dong,Jongno-gu,Seoul 110-720,Korea, Mr. Johnny Tan Cheng Hye,Imm.past president & chairman ,External Relations Committee of SINGAPORE INSTITUTE OF ARBITRATORS ,32 Maxwell Road ,Maxwell Chambers, Singapore,Mr.Gerald Paul McAlinn,professor of Keio Law School ,Mita 2-15-45 Minato-ku,Tokyo,Mr.Marcus Gordon,partner of Farely & Williams Asia Practice LLP,6 Battery Road #28-00,Singapore,Mr.Dr.Le Net, partner of LCT Lawyers & Arbitrator of Vietnam International Arbitration Centre,level 21,Bitexco Financial Tower,2 Hai Trieu Street ,District 1,Ho Chi Minh City, also participated in the event. 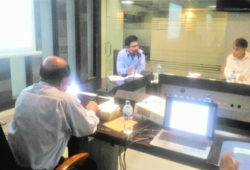 A day long legal Awareness Programme on Power Sector laws & Practices was held on 11th July 2012 at Bangladesh Power Development Board Mukti Hall, 1 Abdul Gani Road, Dhaka-1000.BPDB provided the venue free of cost. 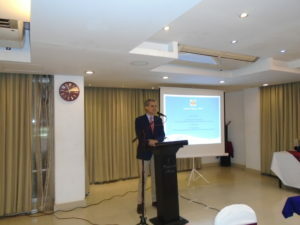 The resource person Mr. Forrukh Rahman, head of Rahman’s chambers conducted the seminar. 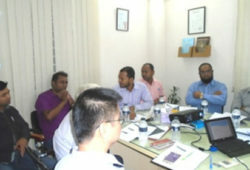 Seminar was divided into four interactive sessions. Session I was on Electricity Laws, which discussed issues like law on generation, law on transmission, law on distribution. 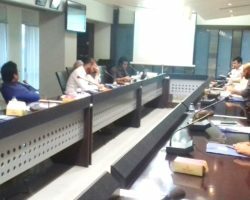 Session II was on procurement & other related laws, which discussed issues like procurement law, judicial review law, employment law. Session III was on dispute resolution which discussed issues like litigation & arbitration. 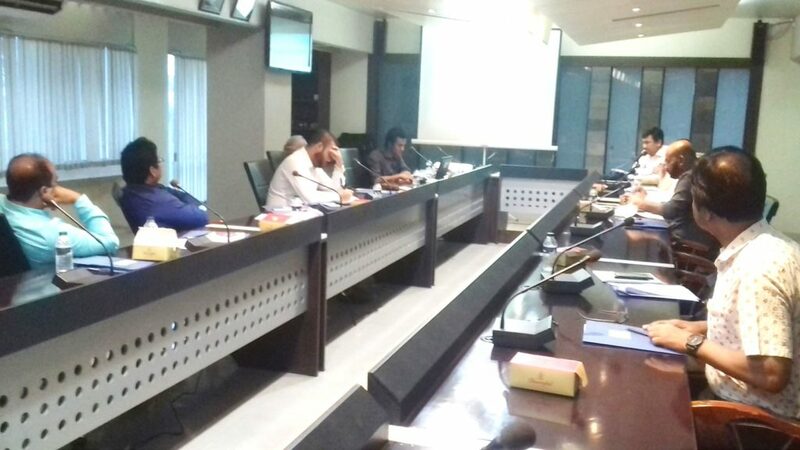 Session IV was on legal methodology, relating to fact management, legal research, drafting, case management. Amongst many others, Mr. H.M. Ziauddin, deputy secretary, Bangladesh power development Board, ,Mr. R.H.Talukder, DM(Legal Affairs), Dhaka Electricity Supply Company Limited, Mr. Md. Jalal Uddin Khan, senior assistant director, Bangladesh Power development Board, Mr. A.K.M. 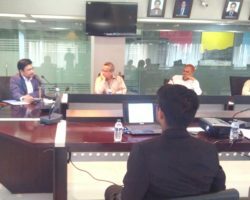 Fakhrul Alam, deputy director(Accounts),Bangladesh Power Development Board, Mr. Mahtab Uddin Ahmed, assistant director(HR),Bangladesh Power Development Board, Mr.Md. 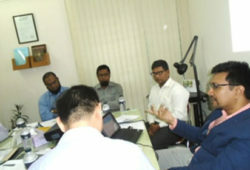 Rafique Ullah, senior assistant director(law), Bangladesh Power Development Board, Mr. Md. Rukan Uddin, sub-divisional engineer, Bangladesh Power Development Board, Mr.Md. 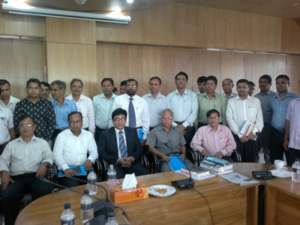 Mahbubur Rahman, company secretary, rural power company limited, ,Mr.Md. 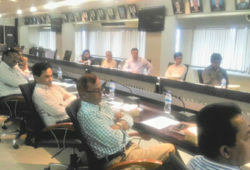 Mahfuzul Haque, deputy director(Procurement),Rural Electrification Board, Mr.Mohsin Ali, director(training),REB, Mr.Sharif Uddin Ahmed,deputy secretary(Policy),REB, Mr. Kazi Mohammed Tanvir, assistant manager(Administration), Rural Power Company Limited, Mr. Nishit Kumar, assistant director(law), Bangladesh Energy Regulatory Commission, Mr. Md. 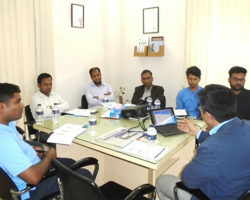 Shariful islam, assistant director, Bangladesh Energy Regulatory Commission, Mr.Md. 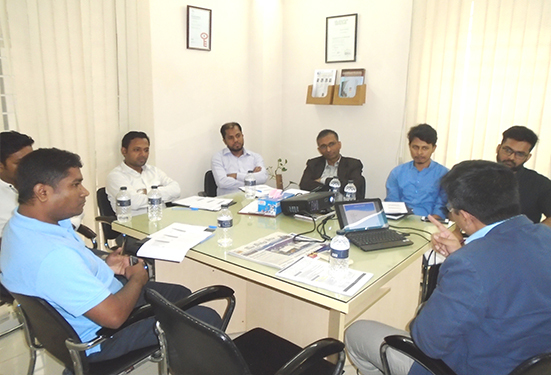 Rafiqul Alam, assistant director(administration), Bangladesh Energy Regulatory Commission, Mr. A.K.M. 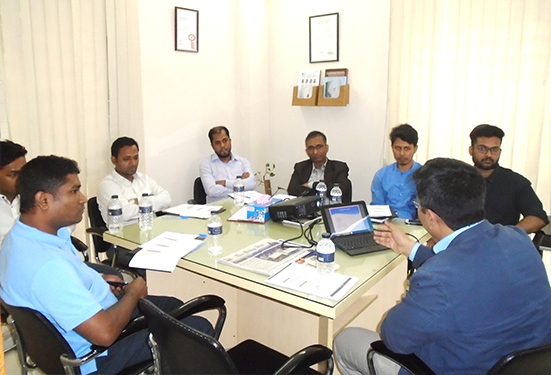 Mostafizur Rahman, manager(procurement), Eelectricity Generation Company Bangladesh, Mr. Md. Mosharraf Hossain, manager(finance),Dhaka power distribution company limited, Mr. Mostafizur Rahman, manager(regulatory affairs), Dhaka Power Distribution Company Limited, Mr. Moniruzzaman, manager(HR), DPDC, Mr.Md. 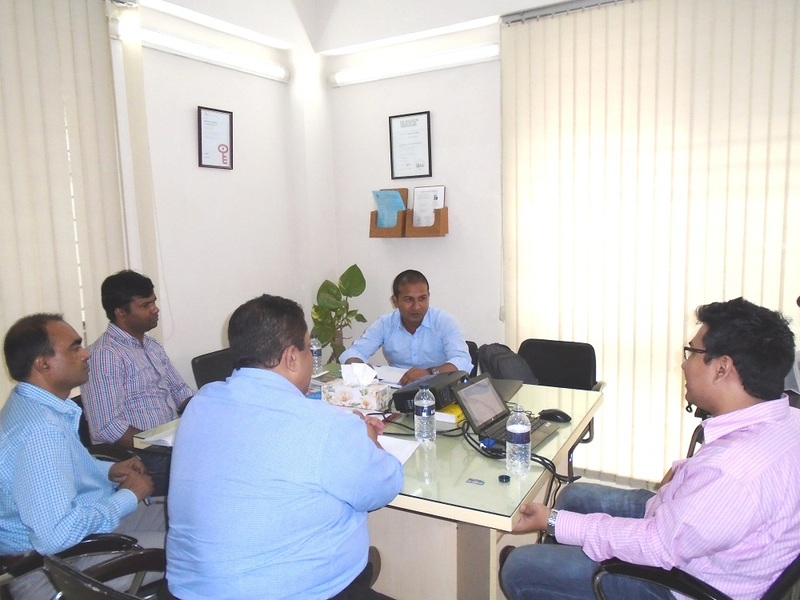 Rafiquddaulla, manager(Procurement), Mr.Kshitish Chowdhury Biswas, planning & development, Ashuganj Power Station Company Limited, Mr. Md. 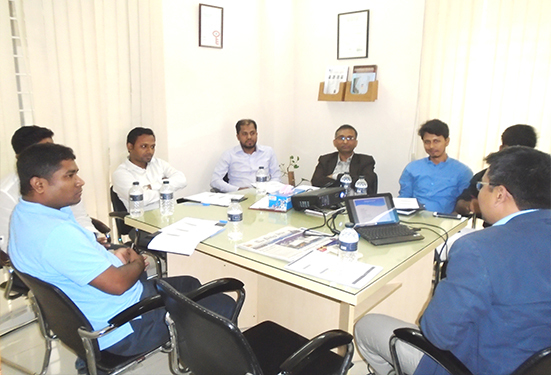 Alamgir Kabir,manager(HRM),Ashuganj Power Station Company Limited, Mr.Md. 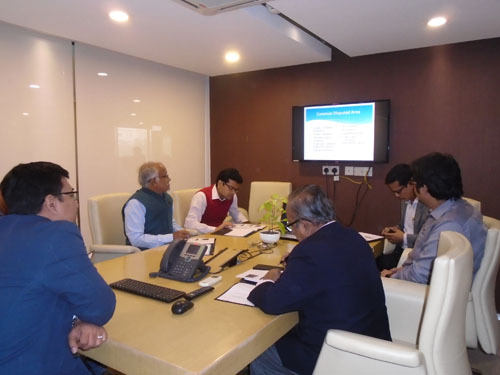 Mamunur Rahman Mondol, manager(HRD), North-West Power Generation Company Limited, Mr.Dipak Kumar Dhali, company secretary, NWPGCL, Mr. Kazi Mohammed shamsul Haque, assistant manager(Procurement), NWPGCL, Mr.Md. 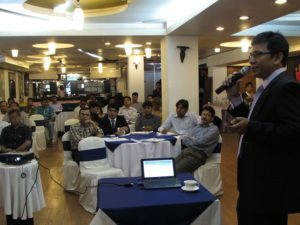 Muniruzzaman ,manager(Audit),Electricity Generation Company of Bangladesh, also participated in the seminar. Rahman’s Chambers officially opened its Banani Office on 1th December 2012 although work was commenced in 1st November 2012. The ceremony started with opening speech given by head of Chambers, followed by dua (prayer) conducted by Hon’ble Imam of Banani Chairman Bari Mosque, Banani, Dhaka & cutting of cake. 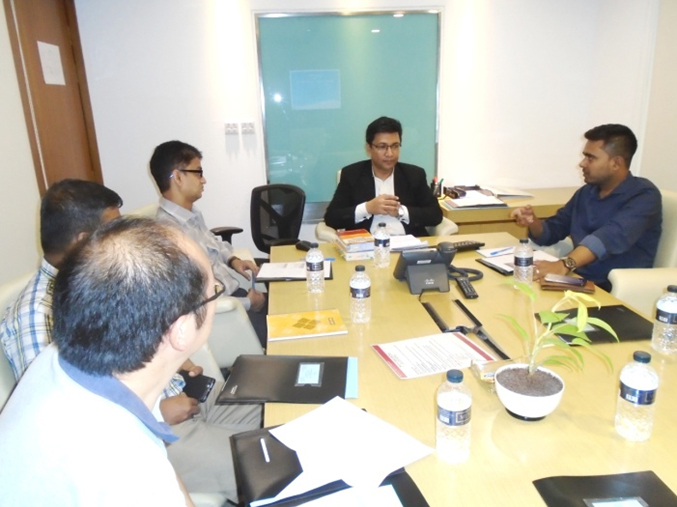 Amongst many others, Mr. Chowdhury MAQ Sarwar, Head of legal & Compliance, Standard Chartered Bank Ltd., Mr. Mohd. Shoyeb Ali, Vice President & Head of Investment Dept., First Security Islami Bank Ltd, Mr. Abdur Aziz, Executive Vice President & Manager, First Security Islami Bank Limited, Mr. Md. Mustafa Kahir, Executive Vice President & Manager, First Security Islami Bank Limited, Mr. Syed Waseque Md. Ali, Deputy Managing Director, First Security Islami Bank Limited, Mr. M.A. Matin, Executive Director, Foreign Investors’ Chambers of Commerce & Industry (FCCI), Mr. Lui Shuang Chuan, President & Managing Director of How are You Ltd, Mr. Md. Nazmul Hasan, Managing Director, Leatherex Footware Industries Ltd, Eng. 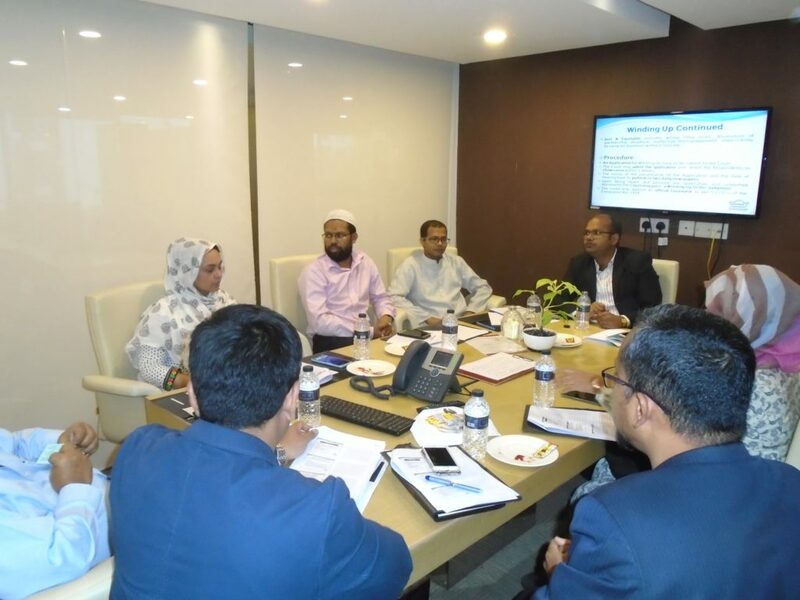 Abdul Motin, Barrister Afzal Hossain, Advocate, Supreme Court of Bangladesh, Mr. Shadman Sadekeen, Project Manager, M & H Informatics BD Ltd., Mr. Mahbubur Rahman, Senior Officer, So IT Division, The Premier Bank Ltd., Mr. Golam Awlia, Senior Executive Vice President, United Commercial Bank Ltd, Mr. Monzurul Islam, Vice President, United Commercial Bank. Ltd participated in the opening ceremony. Chambers will be holding a workshop on international trade disputes on 05.10.2013. Anyone is invited to join. Please book a place in advance as space is limited. Booking are made on First come first serve basis. Materials will be provided at the time of session. This falls within Public welfare activity of Rahman’s Chambers, hence it is free of cost. Opening Ceremony of Bangladesh International Arbitration Center was held on 09.04.2011 at Bangladesh International Conference Center organised by BIAC. The Chief guest was the Hon’ble Minister for Law, Justice and Parliamentary Affairs Mr. Shafique Ahmed, Barrister-at-Law. 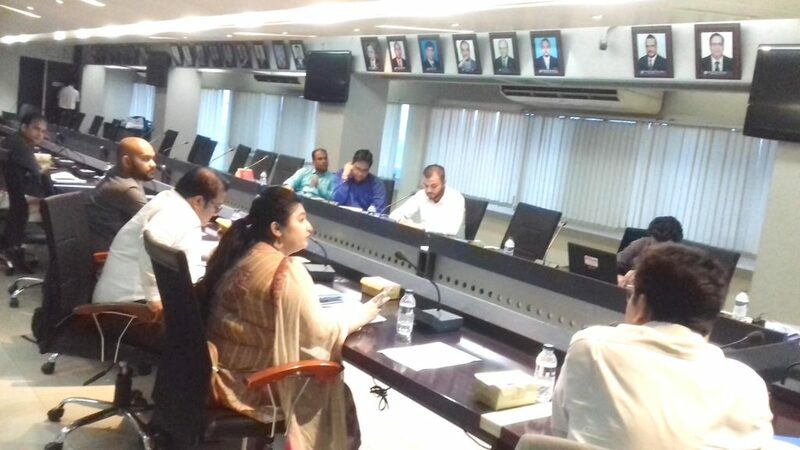 Other guests were Mrs. Nihad Kabir, Vide President MCCI, Mr. Mashiur Rahman, an adviser to the prime minister, Mr. Asif Ibrahim, president DCCI, Ms. Paramita Dasgupta, representative of IFC. Many distinguished personnels including imminent lawyers, retired justices, high commissioners attended in the ceremony. 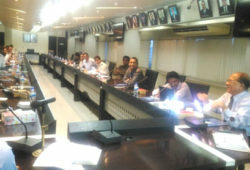 Mr. Forrukh Rahman head of Rahman’s Chambers also attended. BIAC is registered as no-profit making entity. 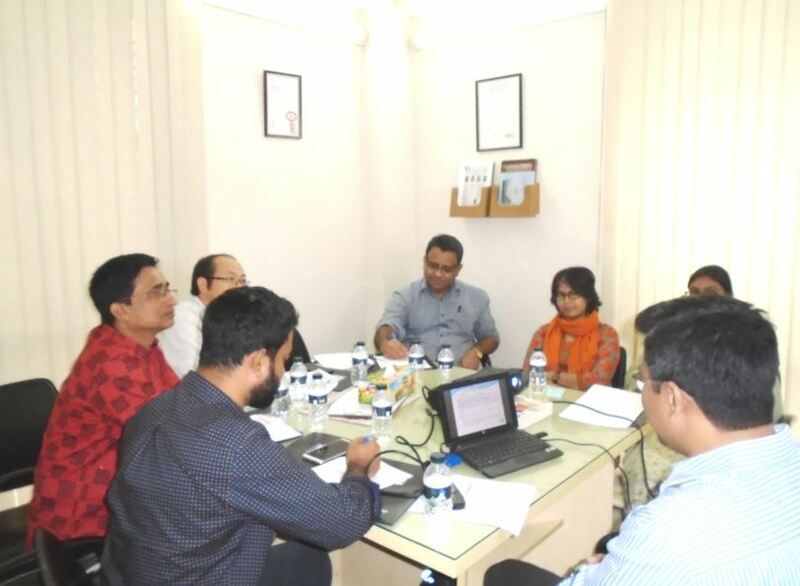 Mr. Mahbubur Rahman is the Chairman and Dr. Toufiq Ali is the Chief of the BIAC. In Bangladesh it is first of its kind. Compared to other places, holding international arbitration in Bangladesh would be less expensive. Bangladesh certainly has a legal framework which is suitable for holding international arbitration. Every relevant laws for arbitration are either in English or have authentic English translation. Further, Bangladesh is the one of the few countries who have ratified the “Convention on the Recognition and Enforcement of Arbitral Award” without any reservation. The University of London is one of the oldest and leading University of the world comprising with world famous colleges namely LSE, UCL, King’s College, London, Imperial College, SOAS, Barbick, Institute of Education etc. 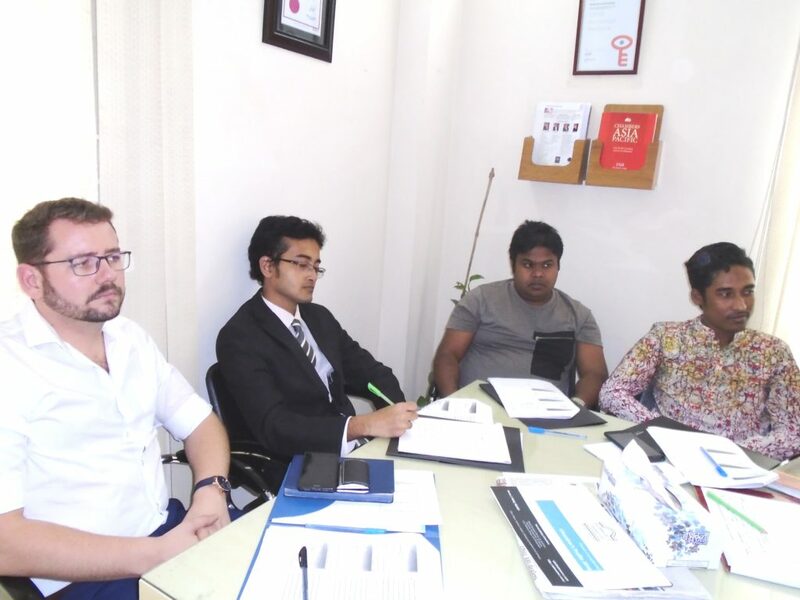 The international programme is run by the University worldwide in collaboration with the said colleges within its federal structure maintaining same standard. 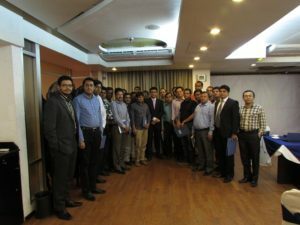 The University of London Alumni Association celebrated its first ever get together party and Dinner in Bangladesh at Westinn, Dhaka on 01 April 2011. The hon’ble graduates took this oppertunity to know each other and share their experience. Everyone enjoyed while the Hon’ble Foreign Minister Mrs. Dipu Moni shares her experiences when doing her LLM.The event was organised by the University officials with the help of the local institutions who are facilitating students to prepare for the international programme exams held in British Council every year. 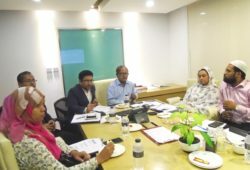 Amongst others notably Dr. Towfiq Newaz, Mrs. Rabeya Bhuiyan, Mr. Khaled Hamid Chowdhury, Mr. Badruddoza Badal, Mr. Andalib Rahman, Mr. Raihan Hussain, Mr. M.A Jafar, Mrs Fatemna Anwar and Mr. & Mrs. Rahman were also participated in the event. 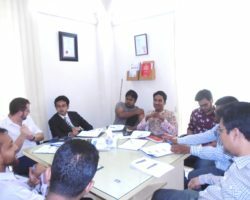 Rahman’s Chambers officially opened its Mohakhali Office on 26th March 2011 although work was commenced in January 2010. The ceremony took place at Baton Rouge, Pink City, Gulshan-2. The ceremony started with opening speech given by head of Chambers, followed by dua(prayer) conducted by Mr. Abdur Rahim, Hon’ble Imam of Azad Mosque, Gulshan-2, Dhaka. 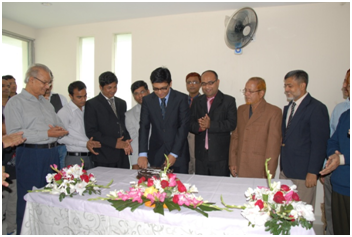 The office was formally opened by Mr. Ajmalul Hossain QC, Senior Advocate, pupil master of Mr. Forrukh Rahman, by cutting of cake and delivering his valuable speech. 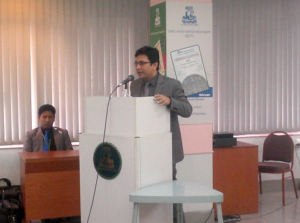 As a special guest Mr. Rokonuddin Mahmud, Barrister-at-Law and Senior Advocate also gave his valuable speech. Later, all the guests took part the buffet lunch. 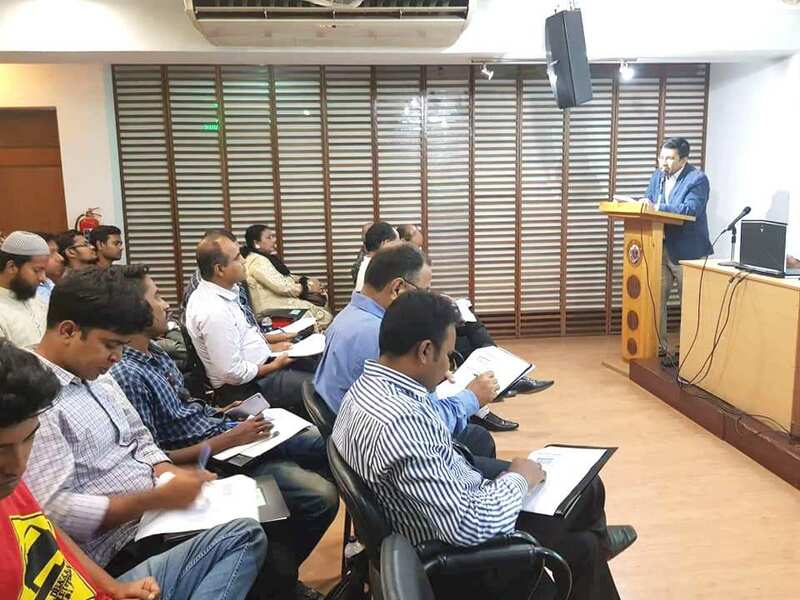 As a part of our commitment for providing pro bono services, a day long training programme at Bangladesh Bank premises in the area of banking and finance laws took place on dated 28 December 2010. Several senior and mid level officials of banks an financial institutions participated in the programme. 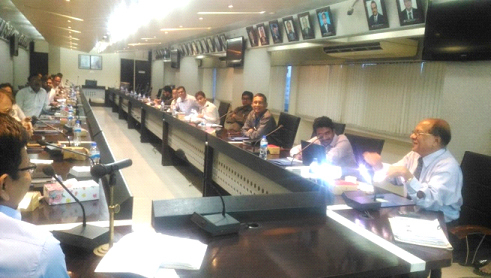 The seminar was conducted by Forrukh Rahman, Barrister-at-Law, head of chambers. The Regulatory laws: (a) Banking (b) finance (c) Money Laundering (d) Forex Regulation (e) Credit information (f) other related Procedural laws and Contractual laws: (a) laws on mode of finance: funded, non-funded, Islamic, syndicated, equity and bond etc. (b) Security documentation, (c) Recovery laws (d) Bank Accounts, (e) Negotiable Instruments and also Fact management, Legal research, Drafting, Case management etc. topics were covered at length in the seminar. Mr. Sarwar Chowdhury, Head of Compliance of Standard Chartered Bank Ltd, Mr.Mahmud Ur Rahman of JP Morgan Chase, Mr. Maruf Mansur of Islamic Finance & Investment Ltd, Mr.Jayanta Kumer Singha, Head of Legal Department of Prime Bank Ltd, Ms. Nadia Mariam, Credit & Strategy Support Manager of Citibank N.A, Md. 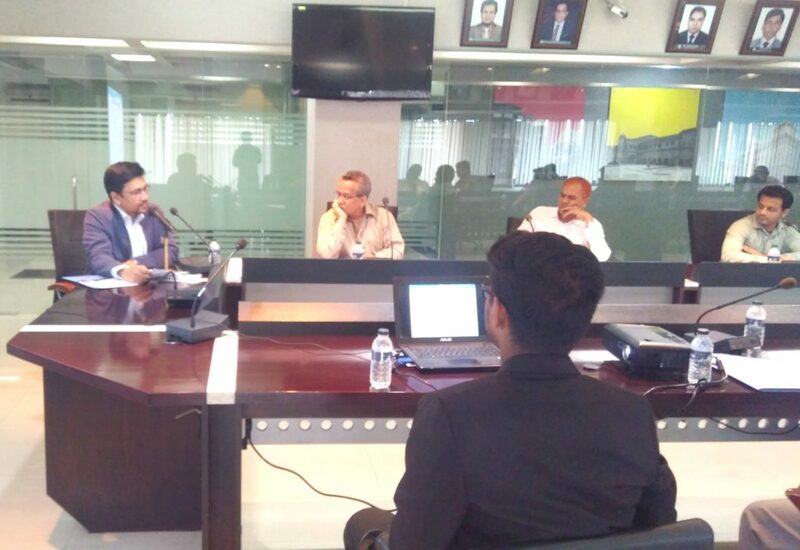 Hanef Ali, AVP & Incharge, Law Department of National Bank Ltd, Mr.Qazi Mahmudur Rahman, Manager-Credit Administration of Bank Alfalah Limited, Mr.G.H.M.Zahidur Rahman, Assistant Vice President of Mutual Trust Bank Ltd, Mr.Mokabbir Sarkar of Infrastructure Development Company Ltd., Mr.Md.Rakib Ul Hasan, Assistant Officer of Dutch-Bangla Bank Ltd., Mr. Md. Liakot Ali, Senior Executive Officer of Sonali Bank Ltd, Mr. Md. 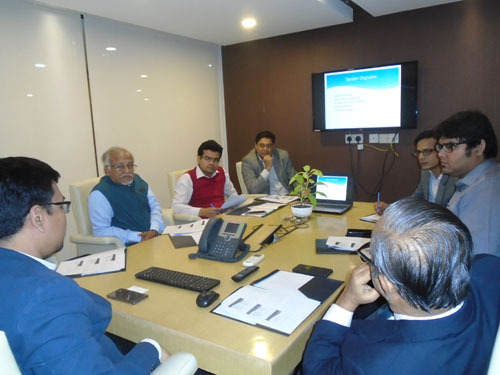 Shahidul Islam, Senior Officer of IDLC Finance Ltd, Mr.Md.sayed Hasan, Law Officer of National Credit and Commerce Bank Ltd., Mr.Pankaj Kumar Debnath, Principal Officer of ONE Bank Limited participated in the training programme.